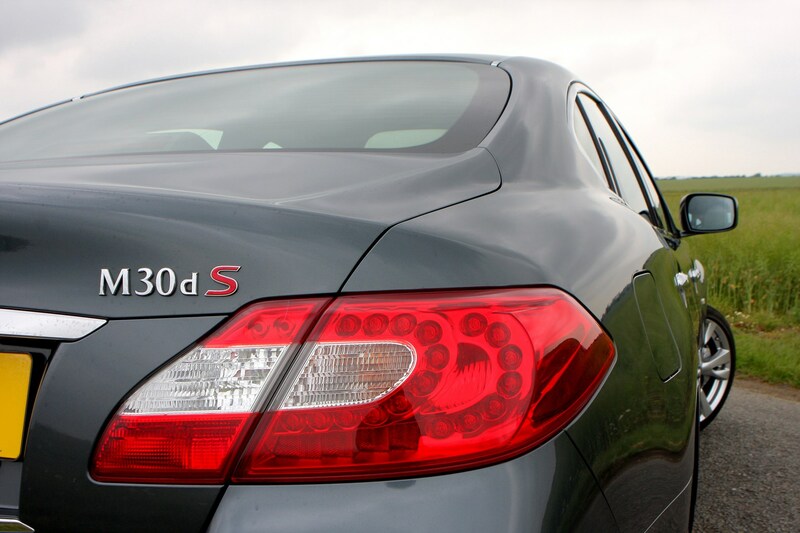 Insurance group: 35 - 46 How much is it to insure? 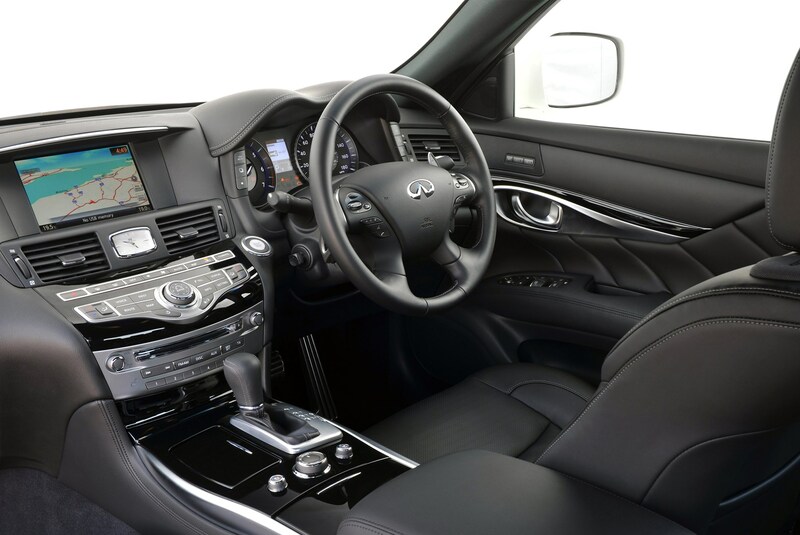 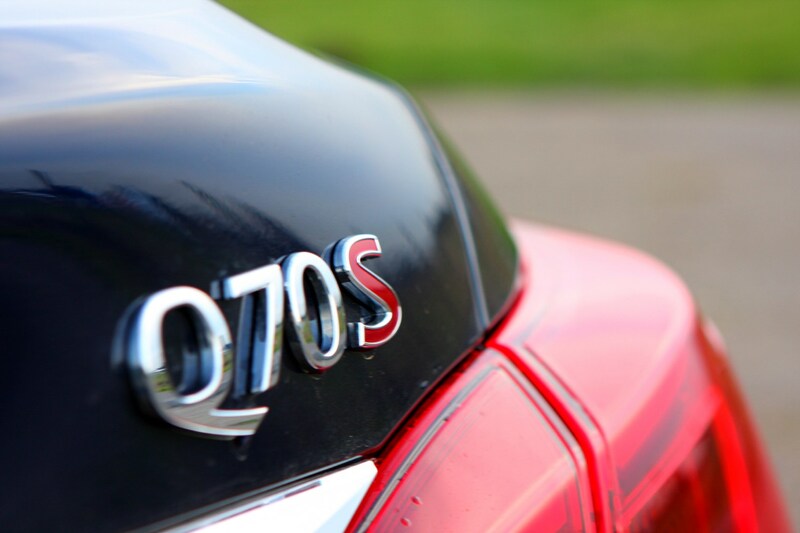 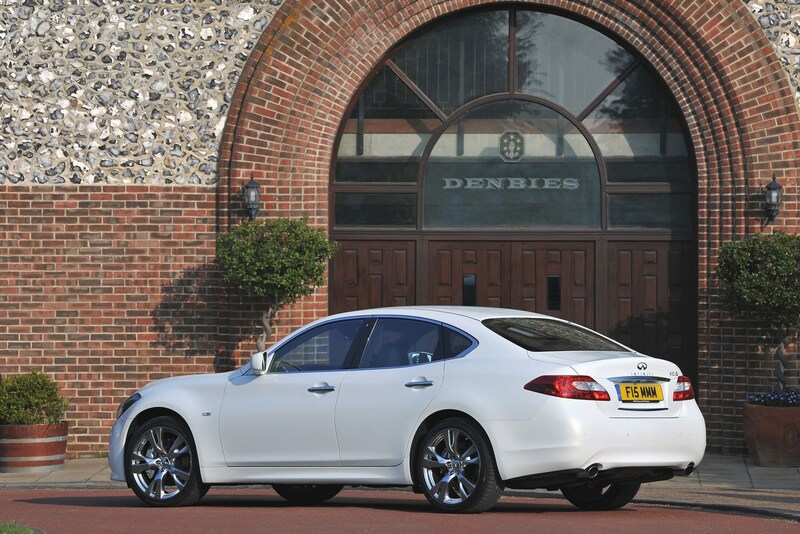 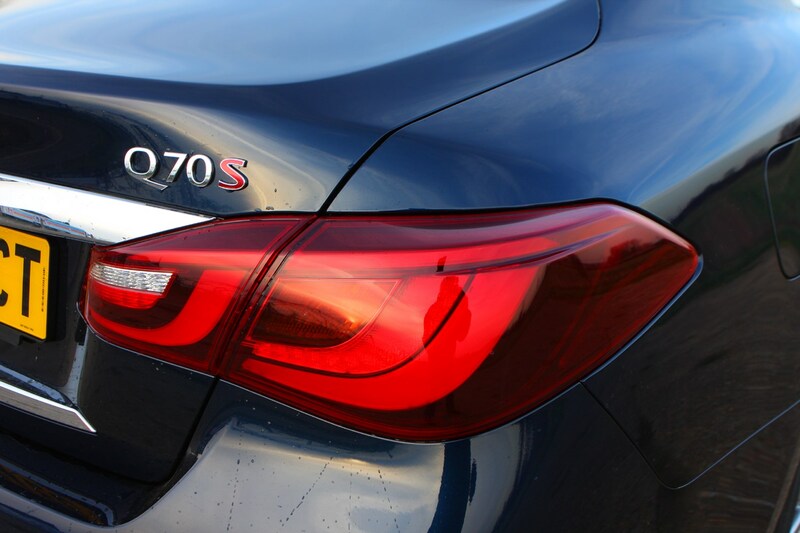 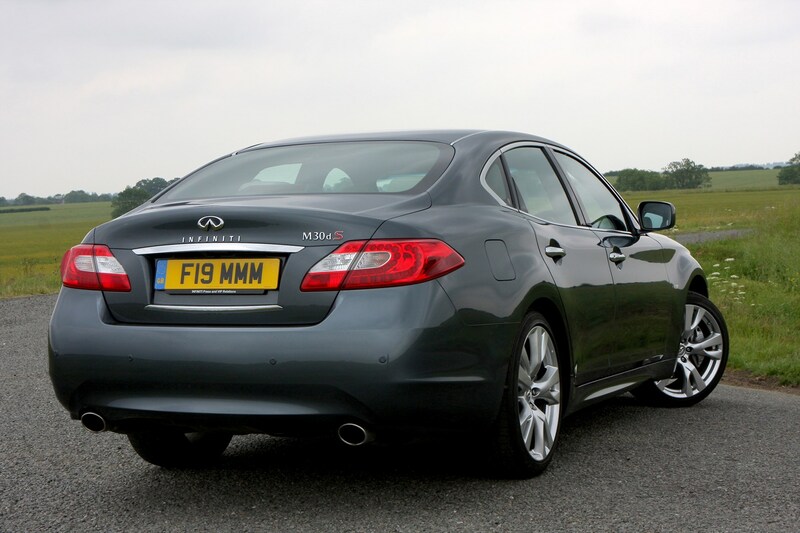 The Infiniti M - or Q70 following the brand's renaming of its cars early in 2013 - is here to dethrone premium saloons like the Mercedes-Benz E-Class, BMW 5 Series and Jaguar XF. 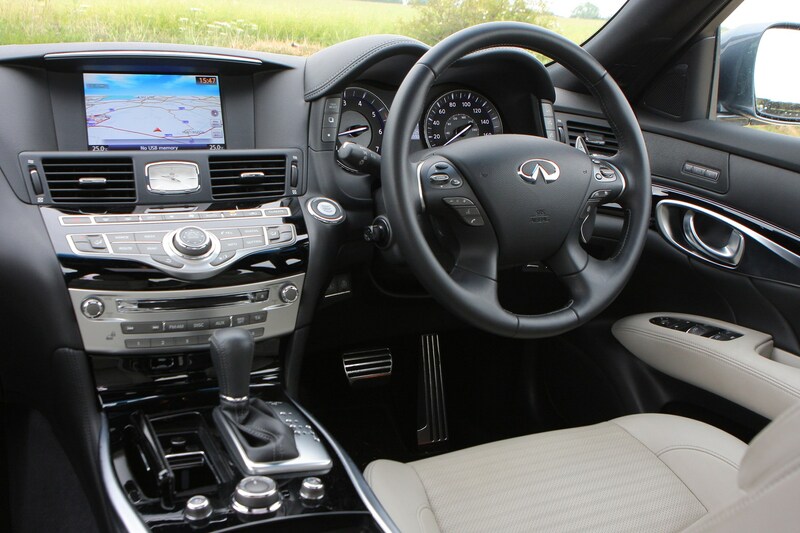 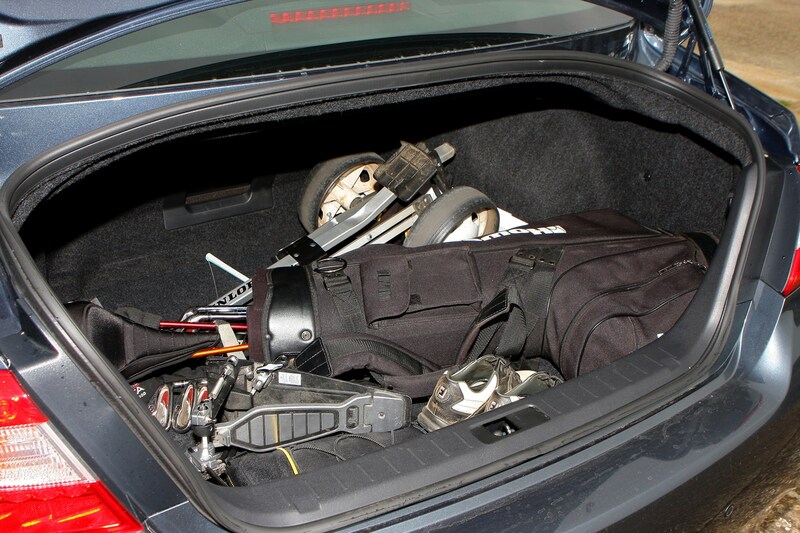 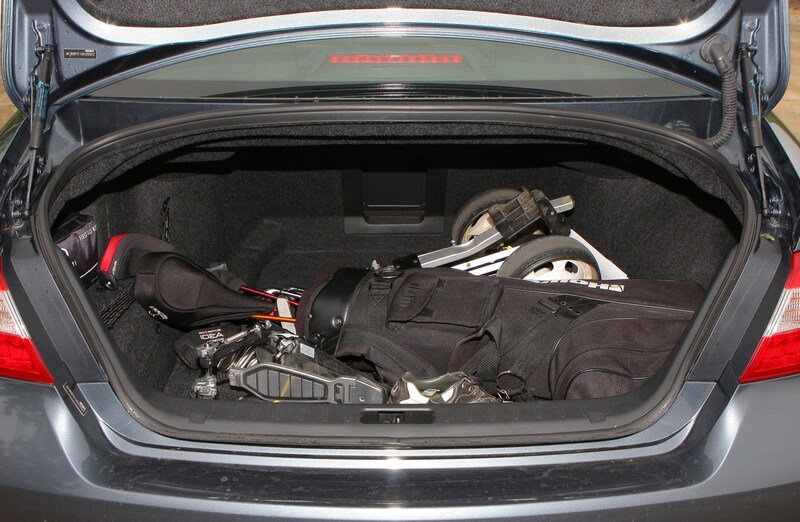 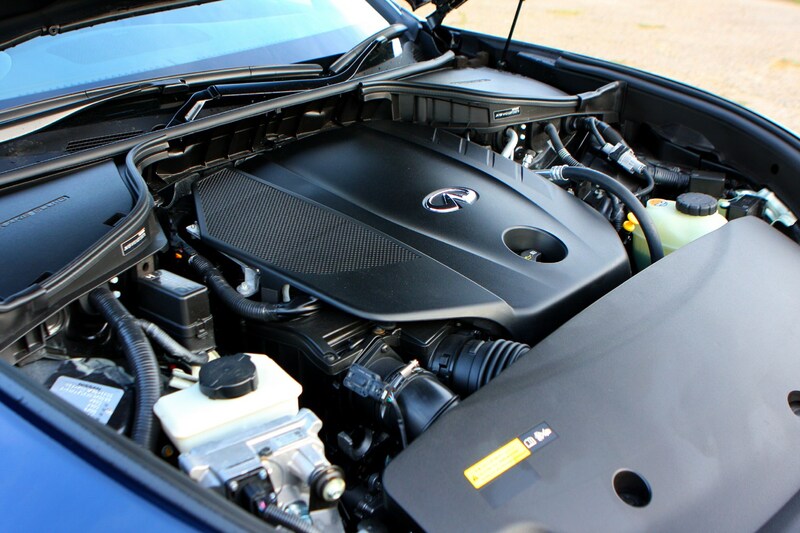 It’s incredibly well equipped and there’s a choice of three engines, one a petrol-electric hybrid. 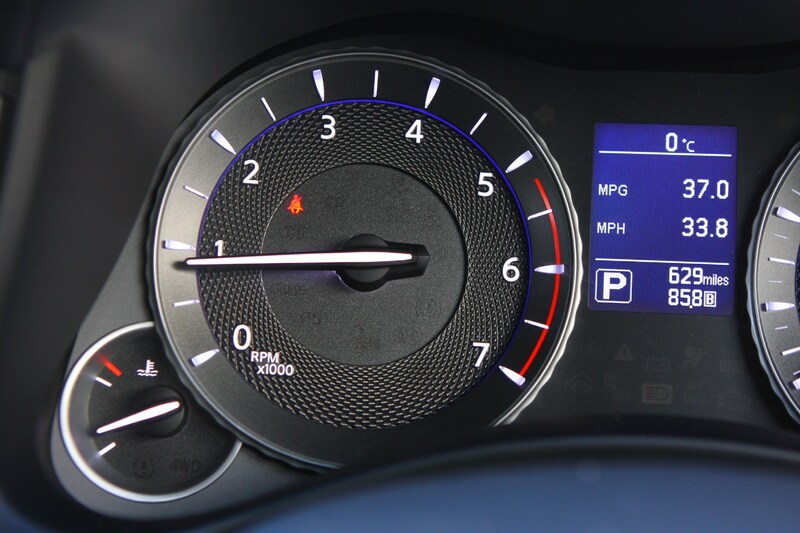 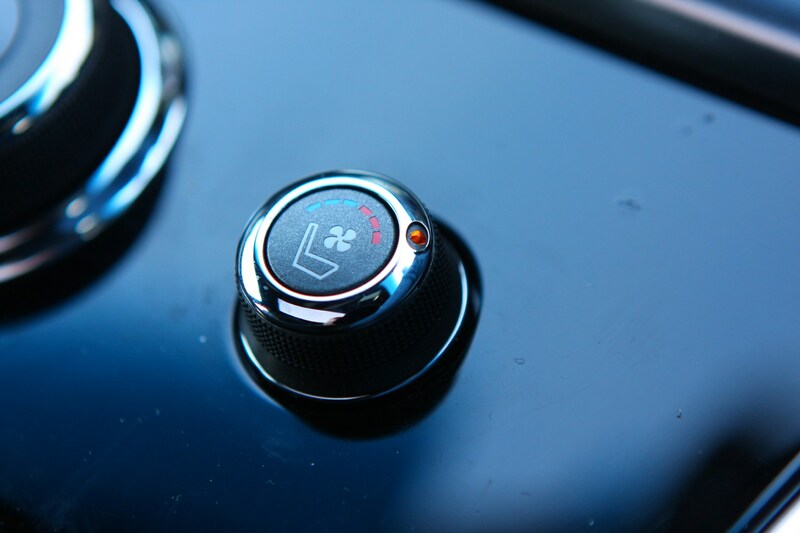 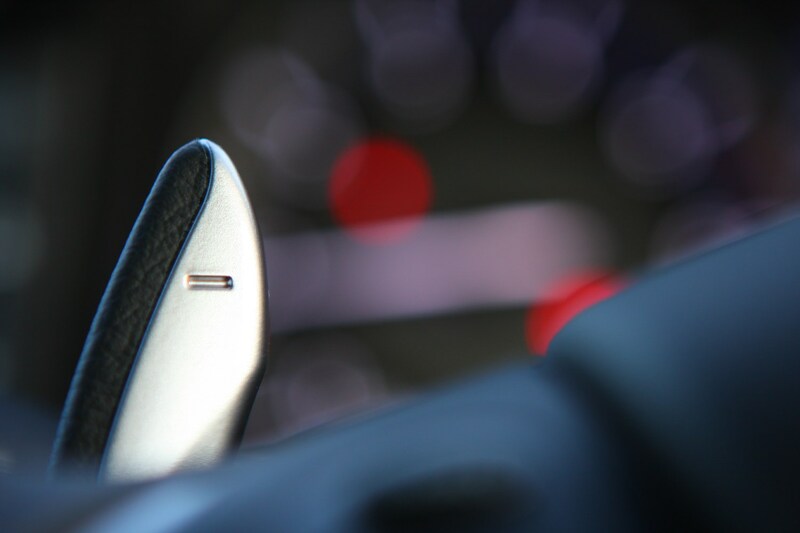 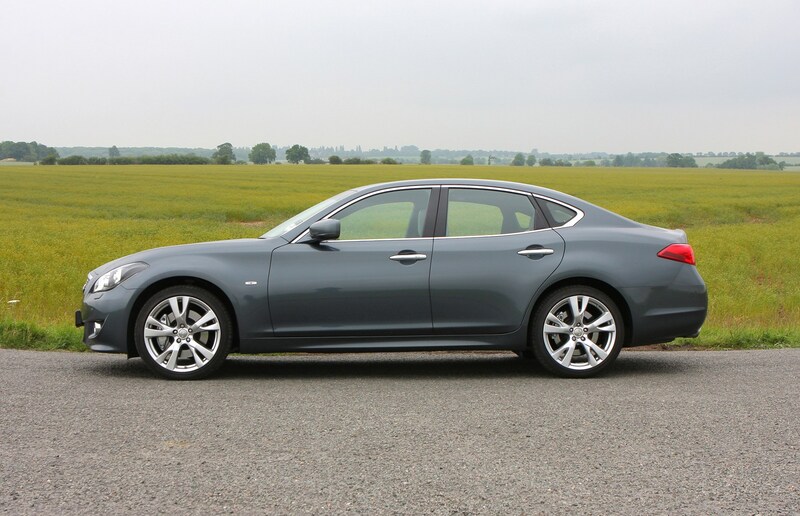 For buyers concerned about running costs there is a diesel option but it still lags behind the big rivals on fuel economy and emissions, which makes the M35h the most economical and appealing. 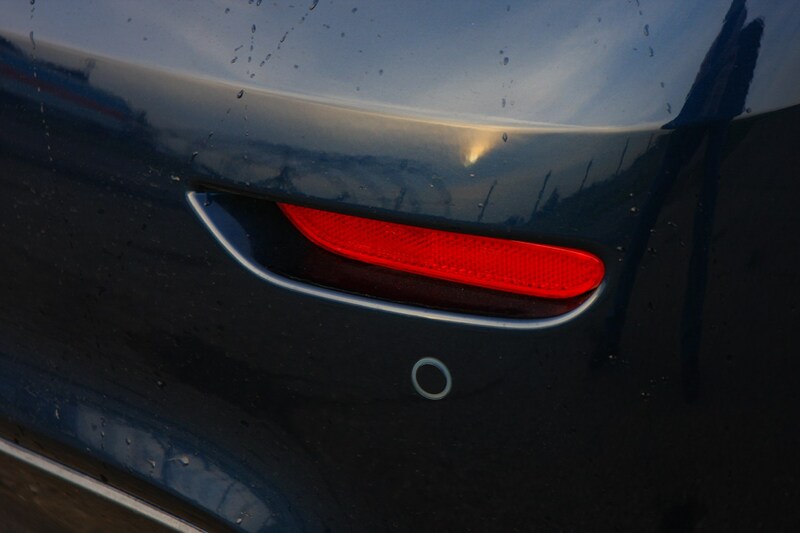 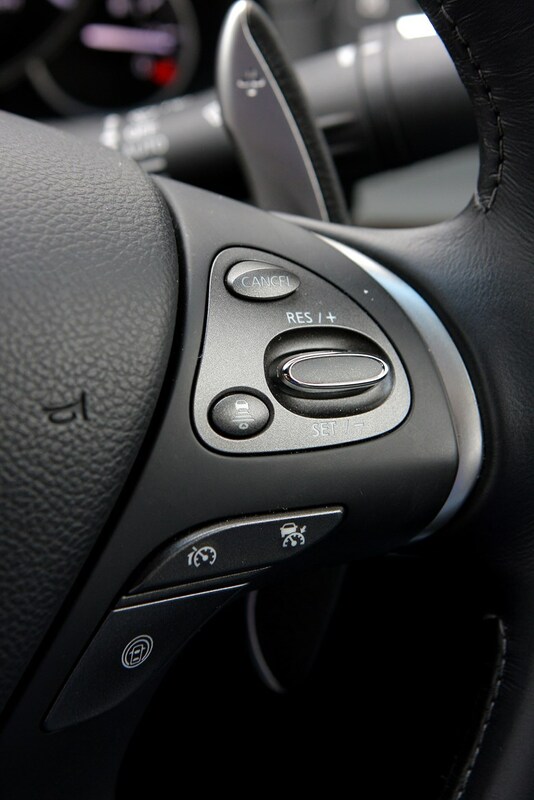 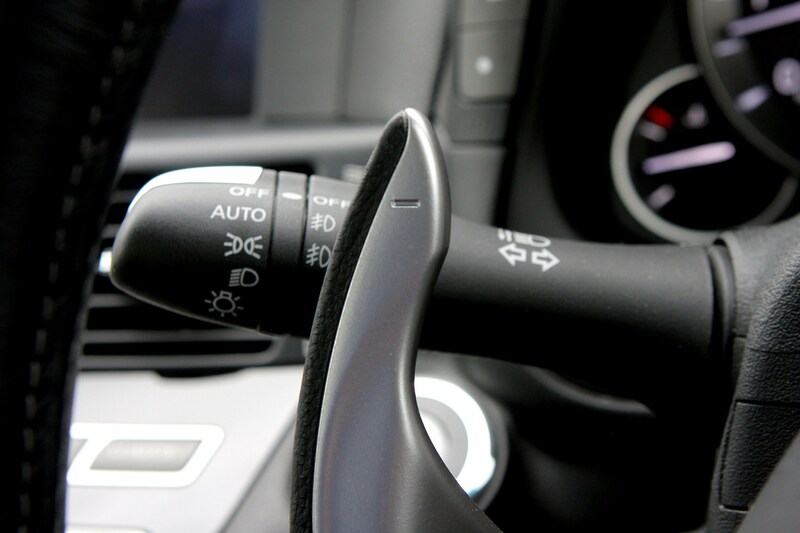 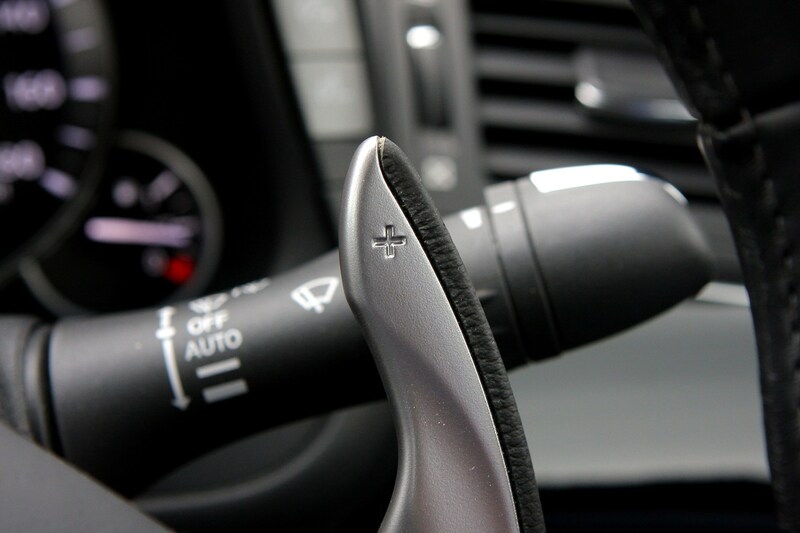 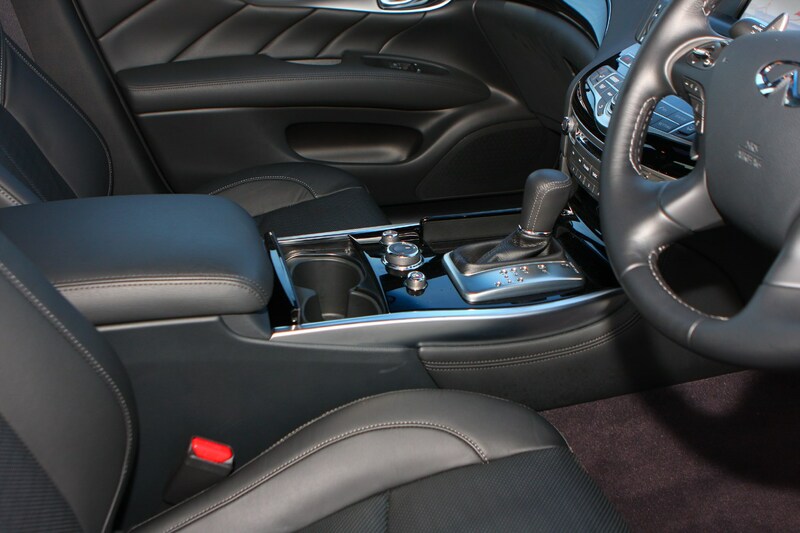 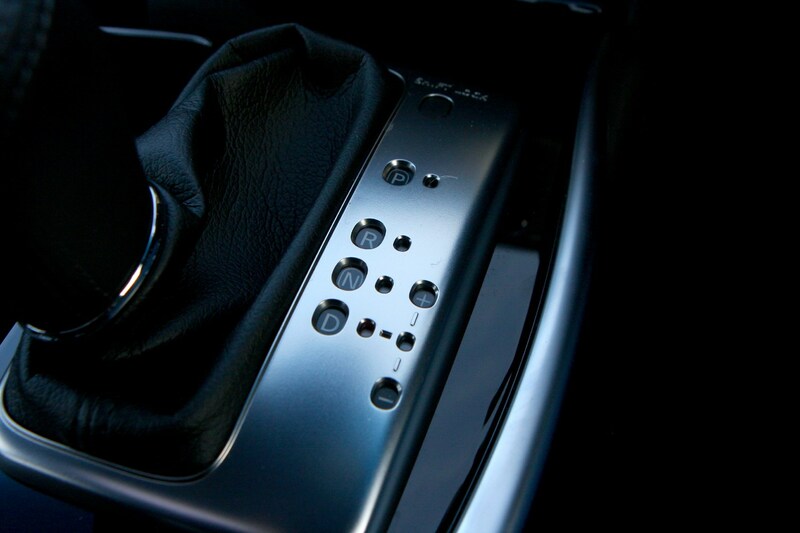 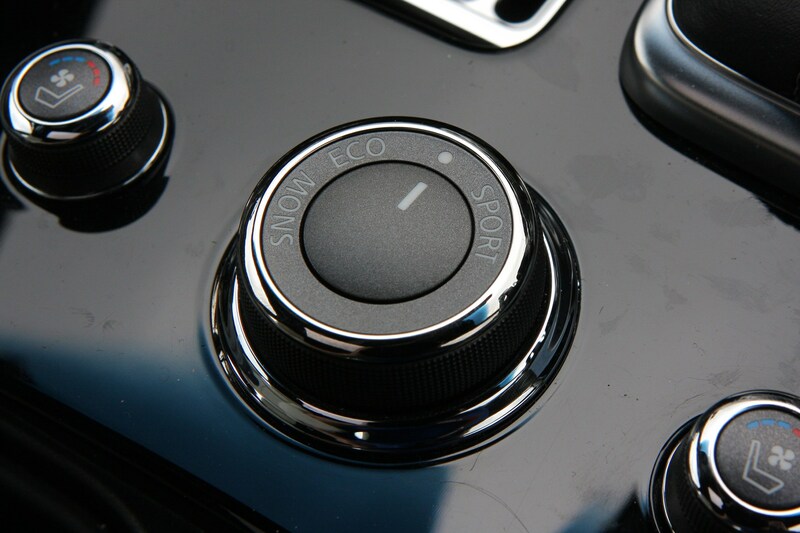 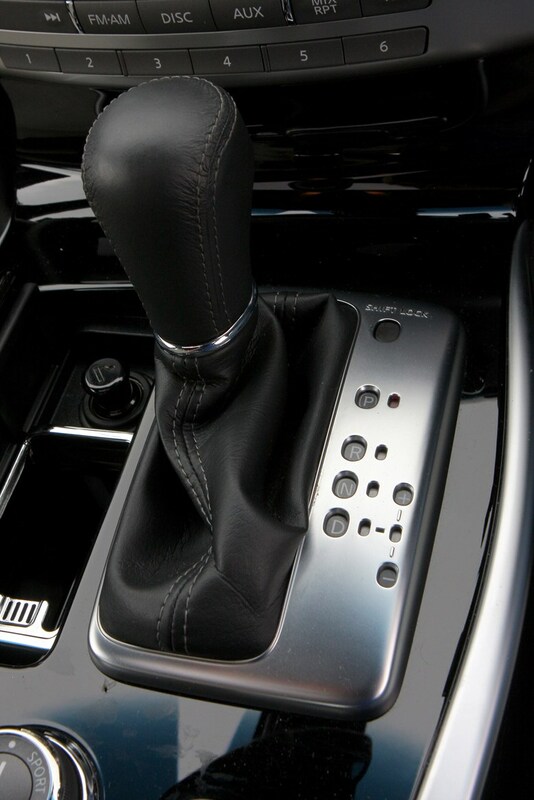 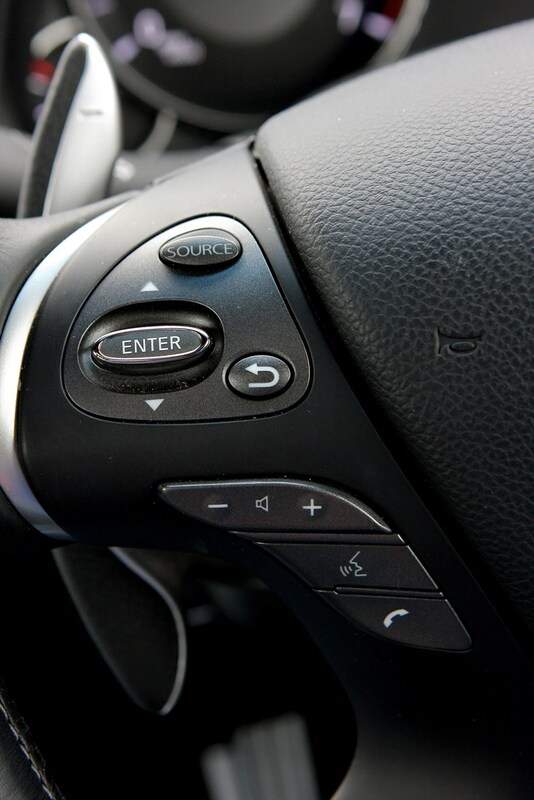 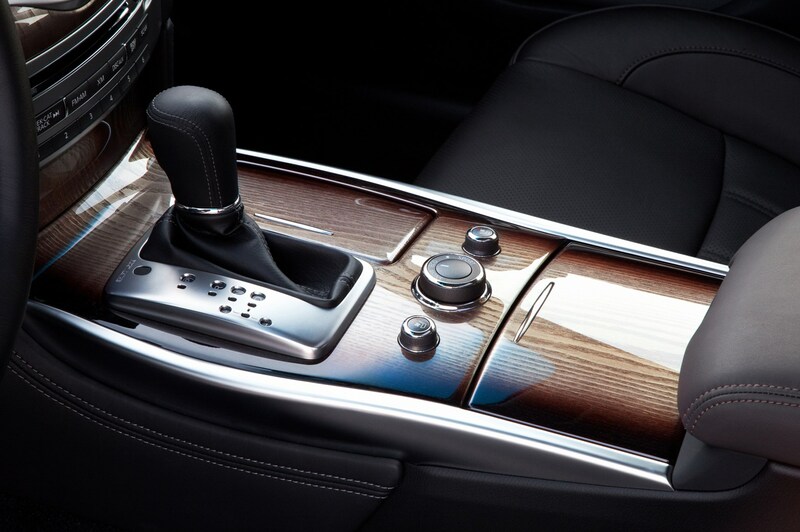 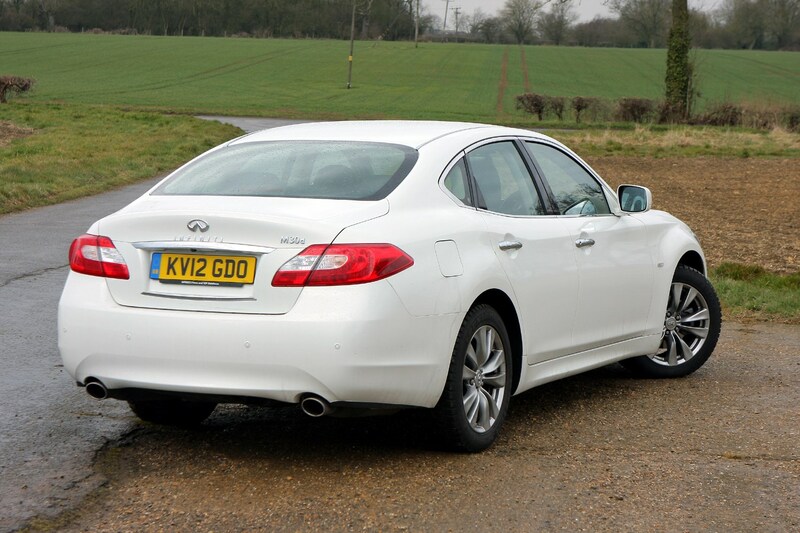 It is an alternative worth considering, offering eager performance and a slick seven-speed automatic gearbox. 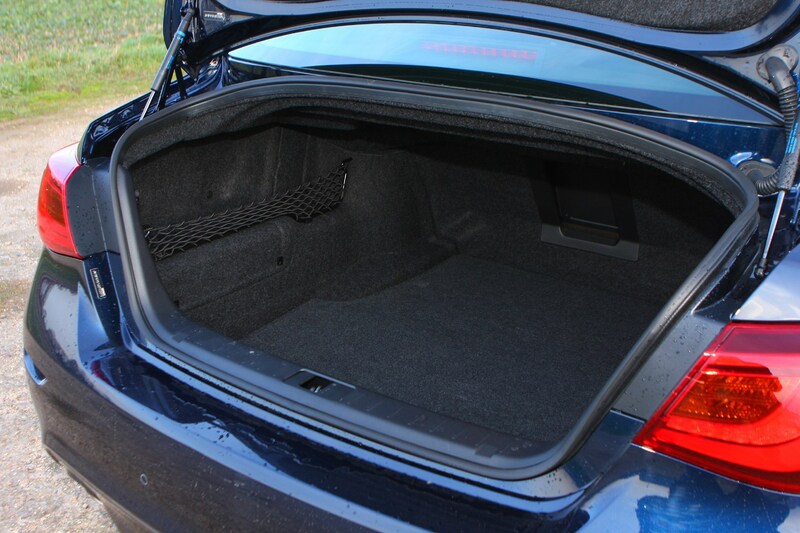 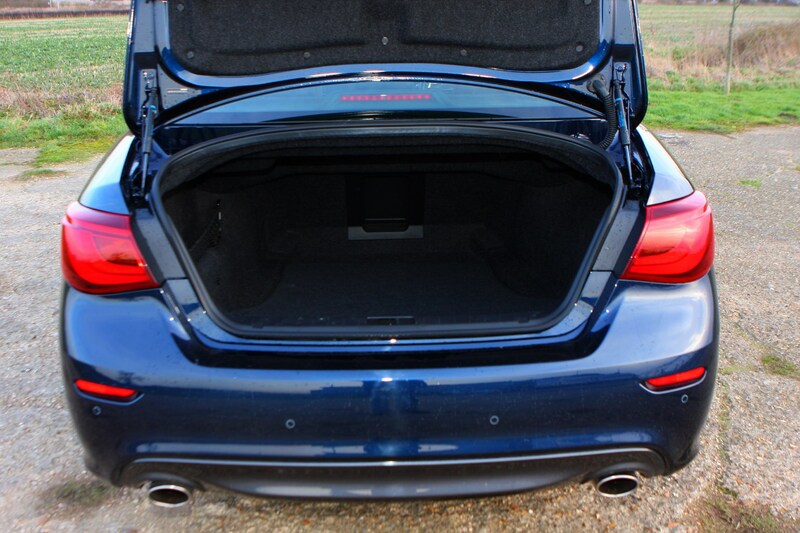 If you’re after something a little left-field then the M saloon is definitely worth a look. 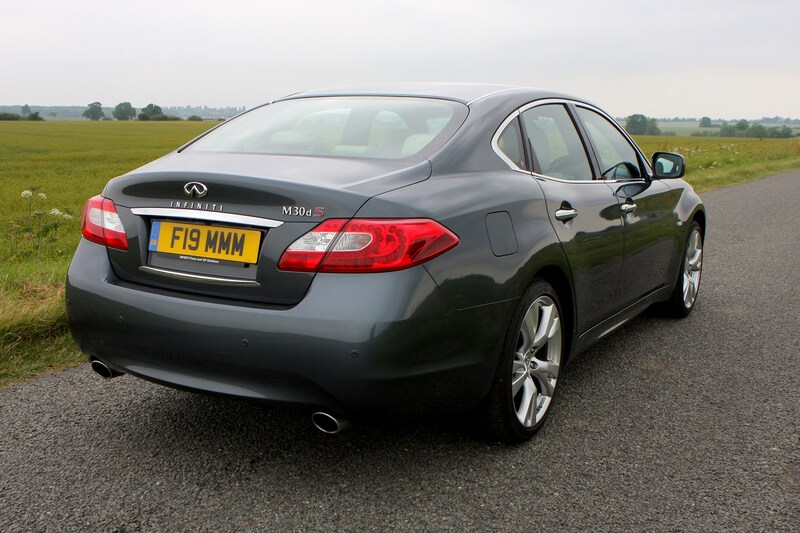 With three engine options on the cards for buyers, the Infiniti M saloon can compete with its European rivals on most fronts. 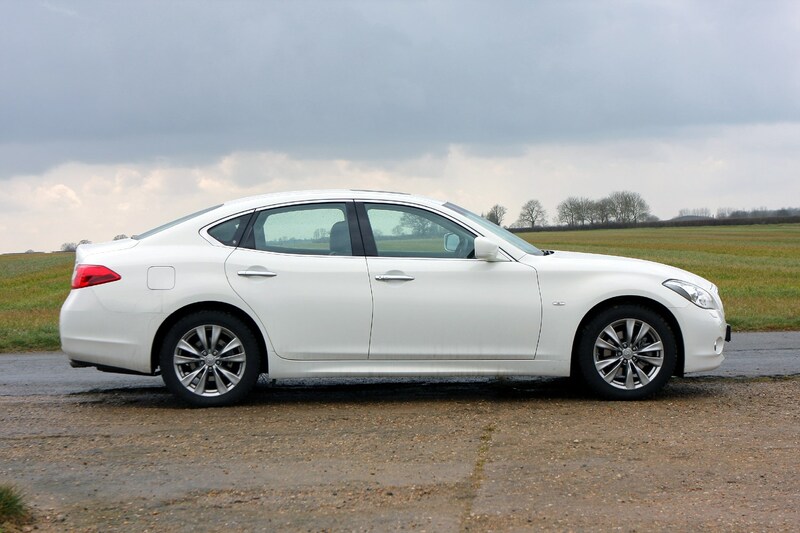 The petrol M37 is quick enough to see off 0-62mph in 6.2 second and uses the same slick seven-speed automatic gearbox as the others in the line-up. 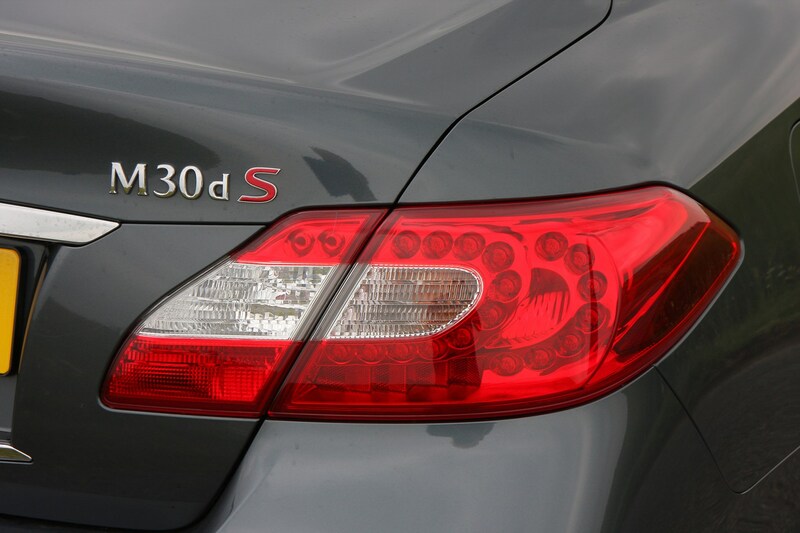 More buyers are likely to be tempted by the 3.0-litre V6 turbodiesel M30d, but it doesn’t have the economy or emissions to come close to its key rivals, never mind the likes of the BMW 520d or Audi A6 2.0 TDI. 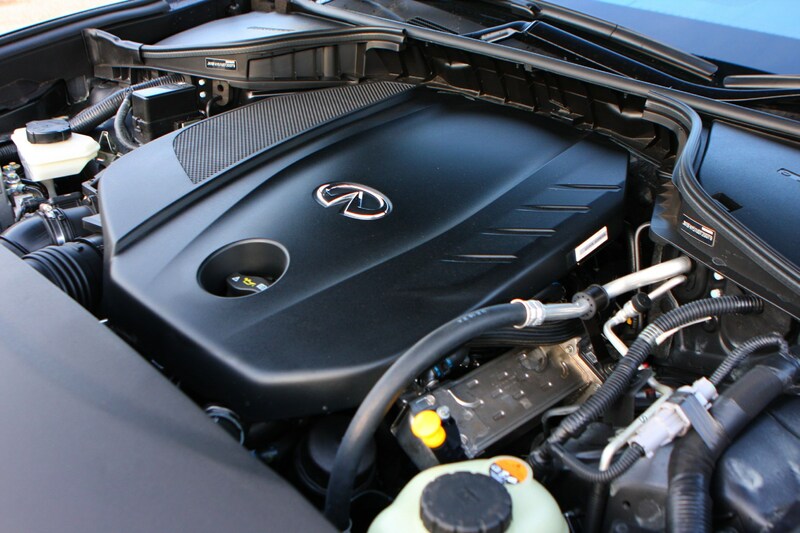 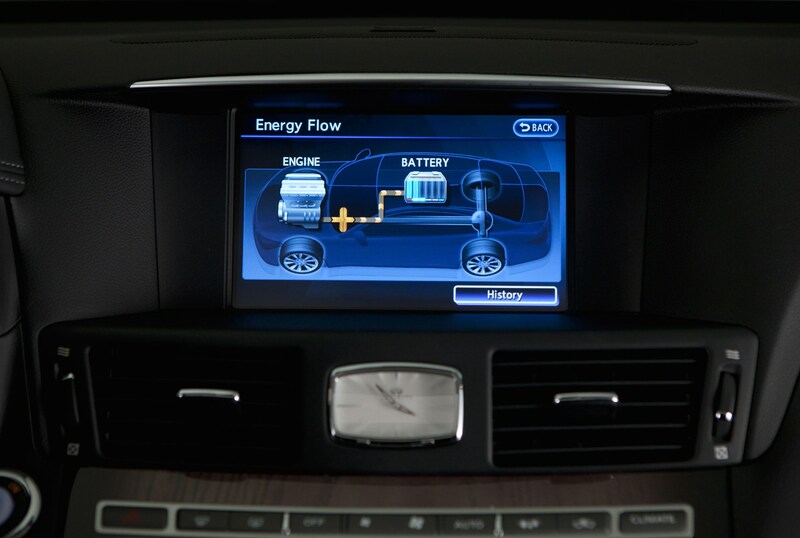 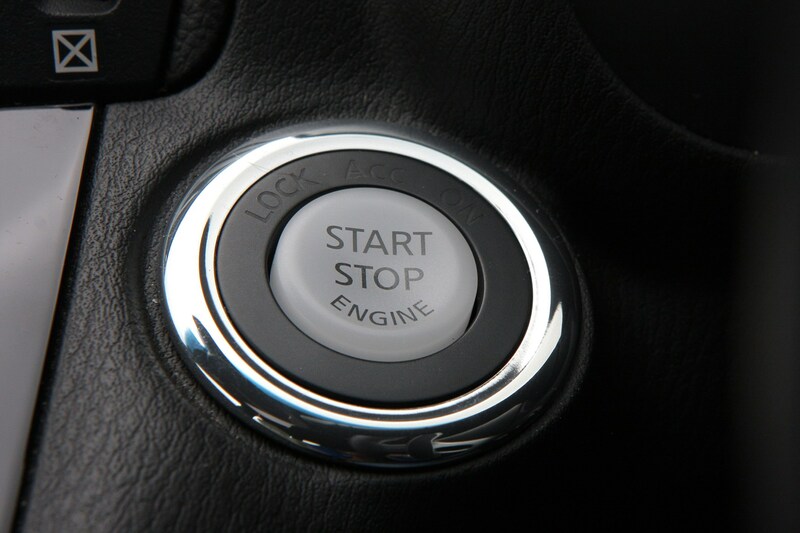 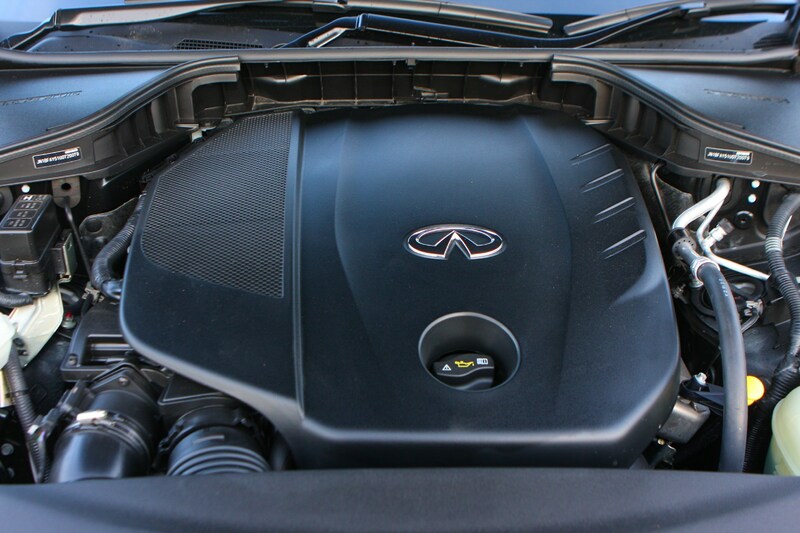 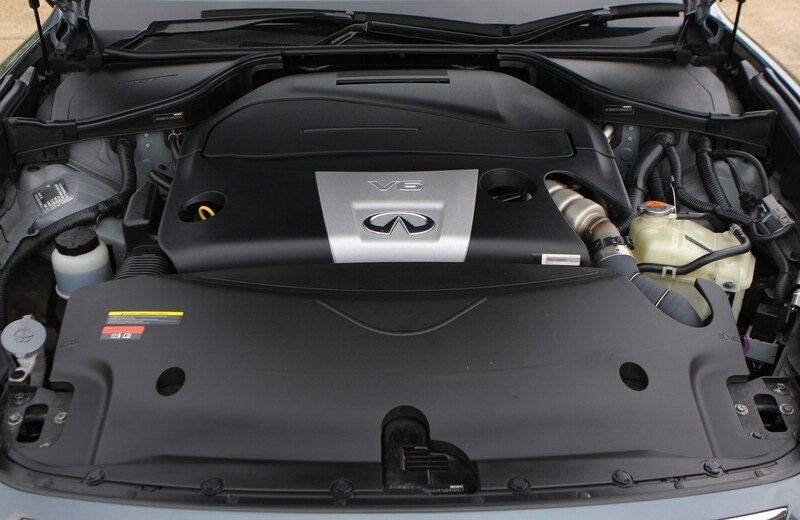 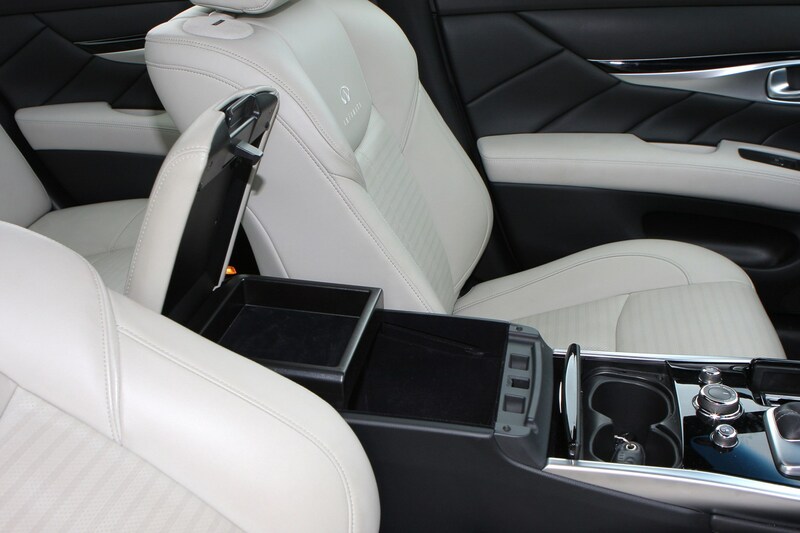 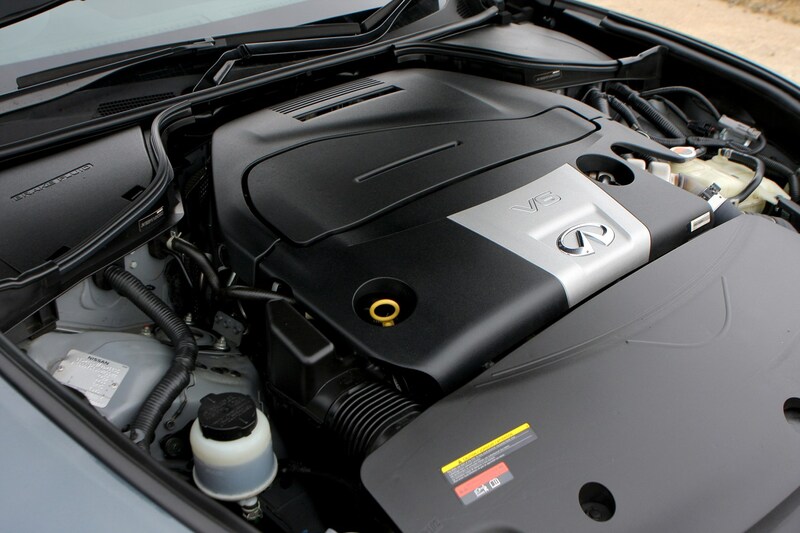 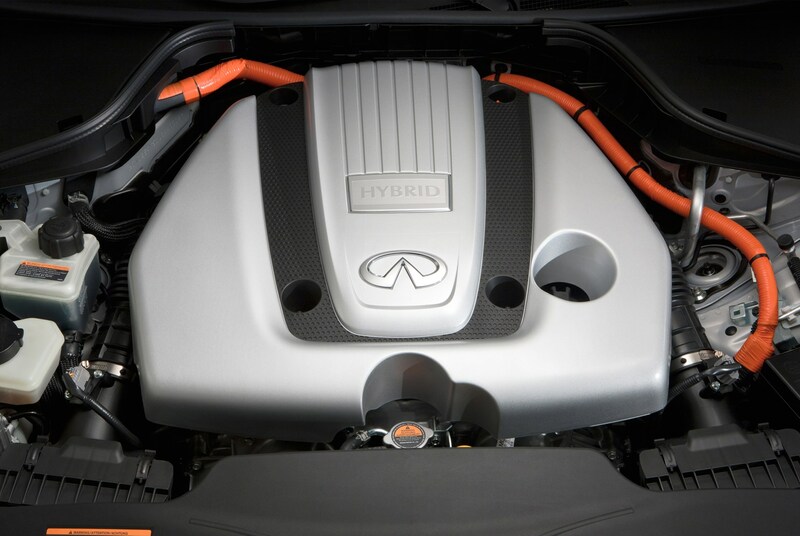 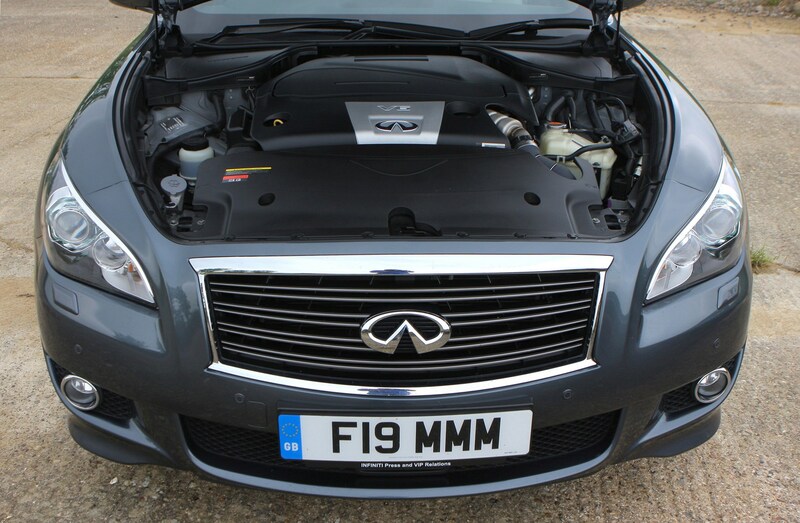 For better economy and emissions you have to go back to a petrol engine in the Infiniti M, though this is coupled to an electric motor in the M35h hybrid model. 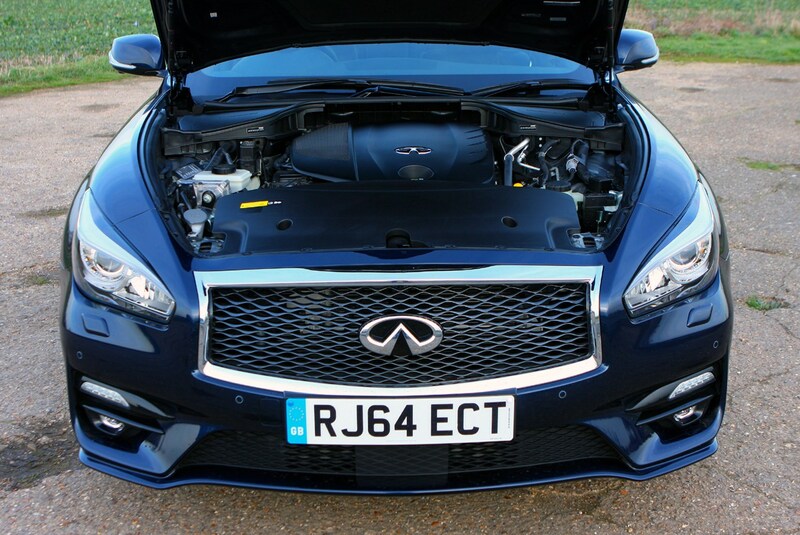 It delivers 40.9mpg and 159g/km carbon dioxide emissions, and it’s also the quickest by dashing off 0-62mph in 5.5 seconds. 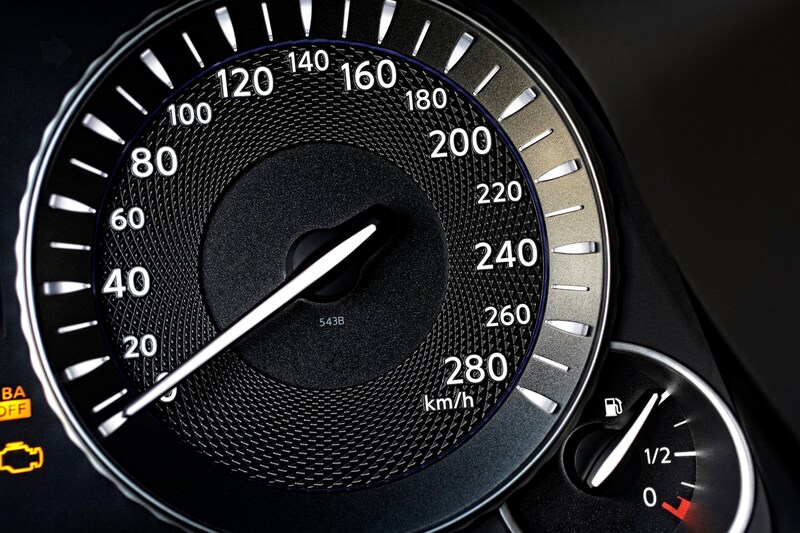 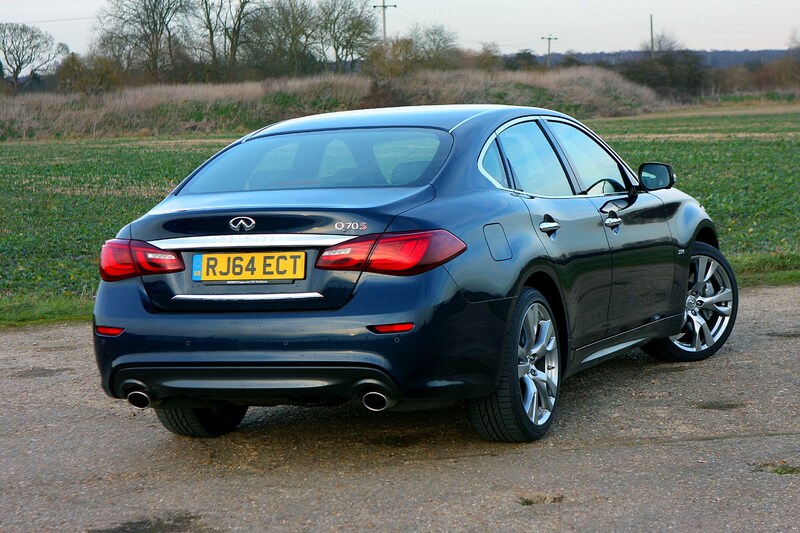 Despite the pace of the Infiniti M range, which can give 0-62mph in as little as 5.5 seconds and a 155mph top speed, these cars miss the driver involvement of the lies of the BMW 5 Series and Jaguar XF. 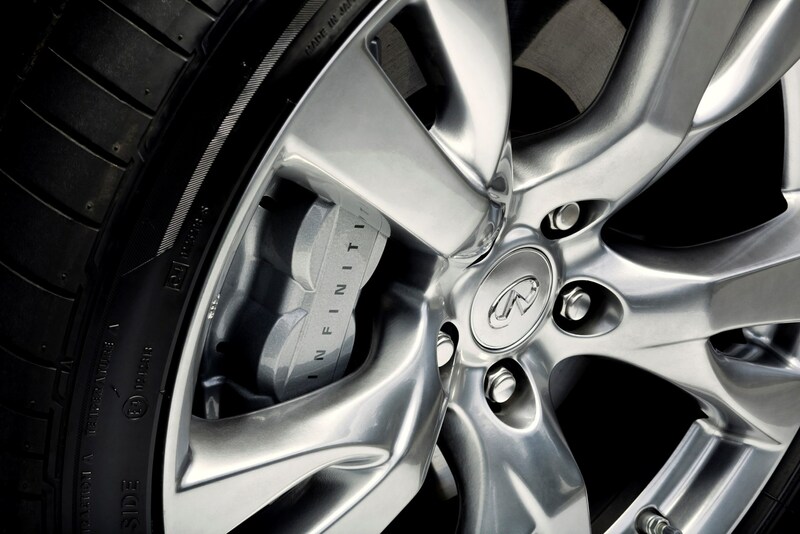 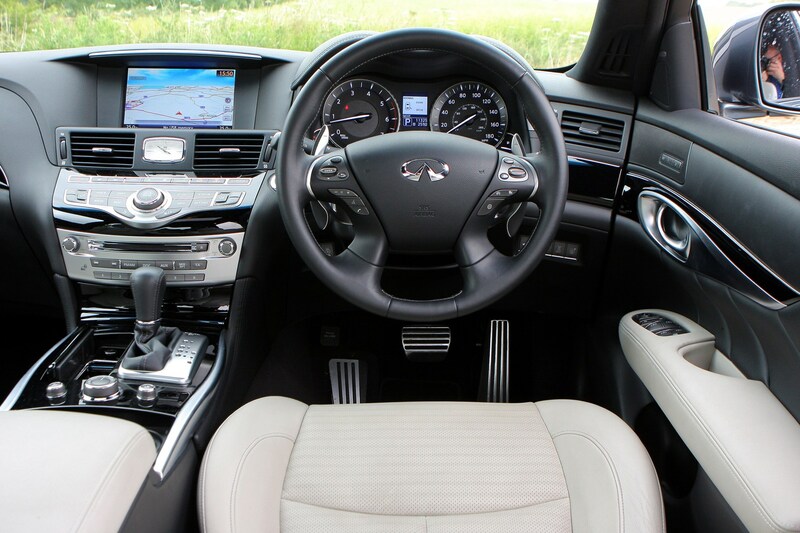 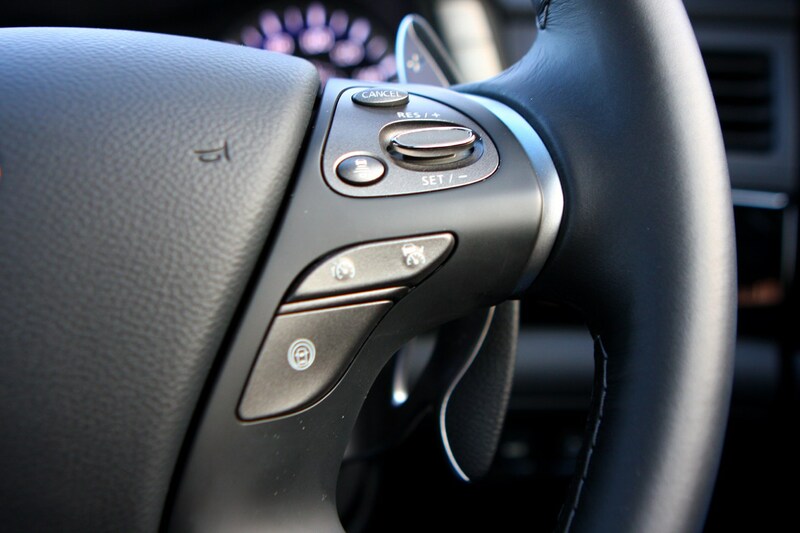 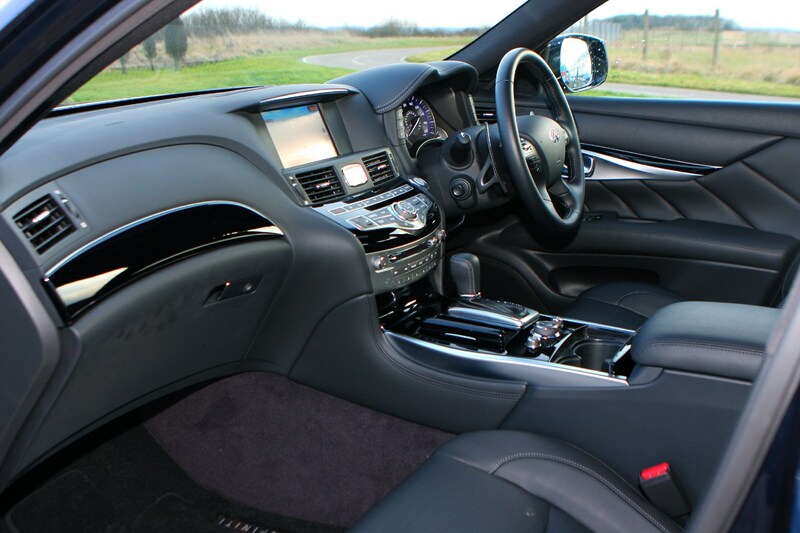 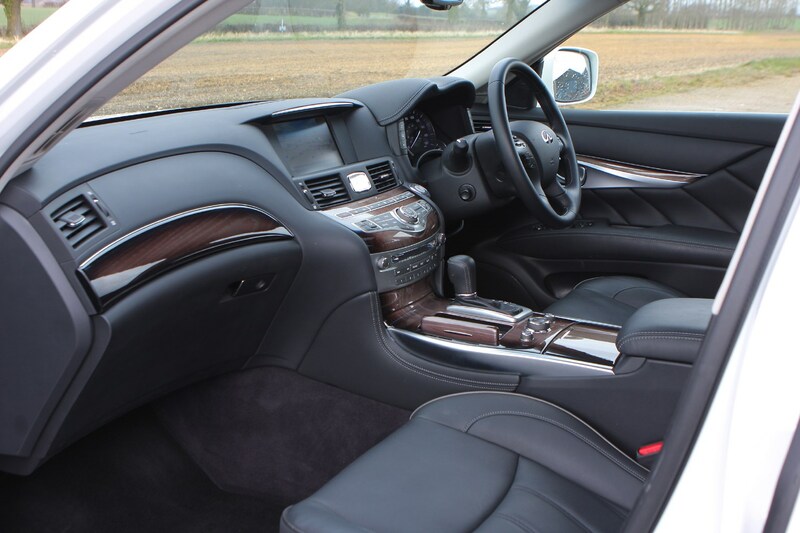 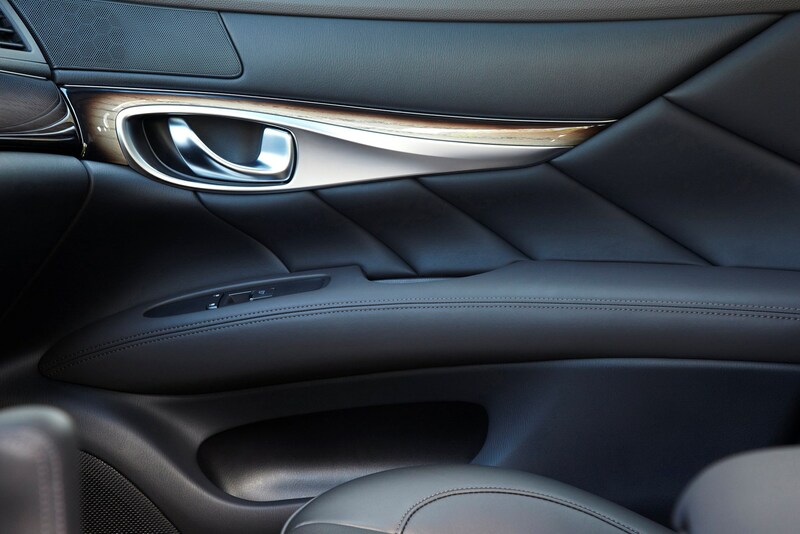 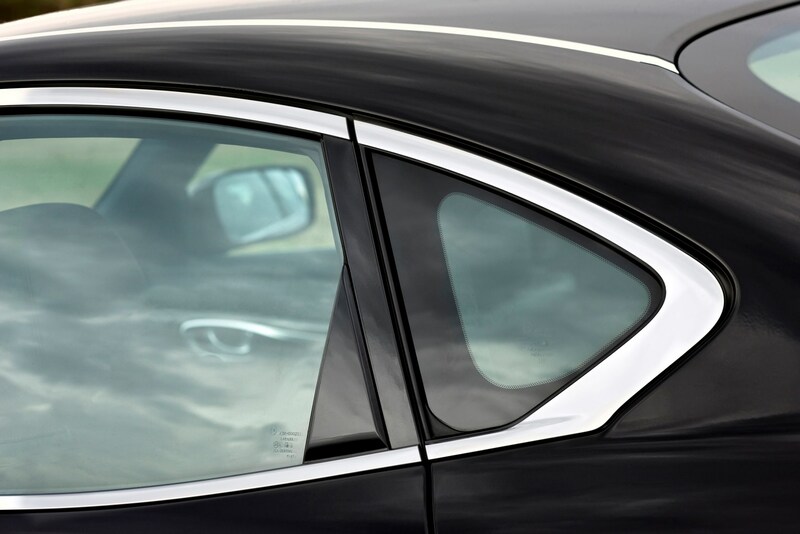 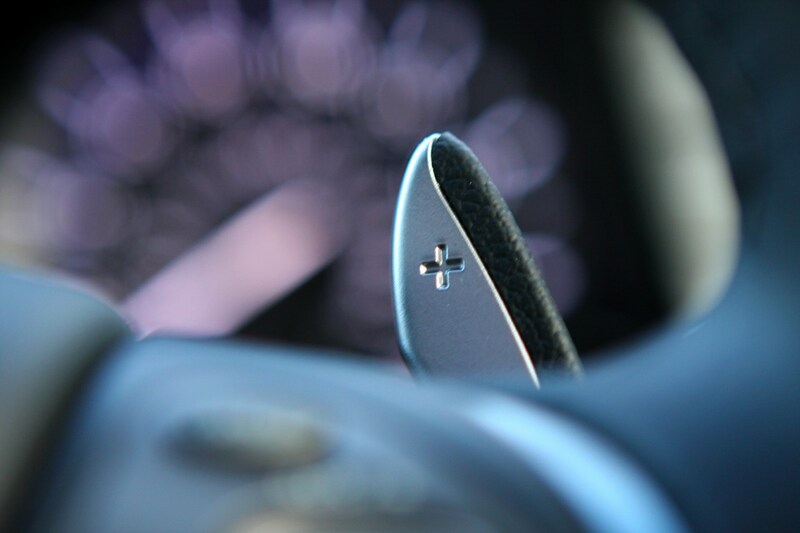 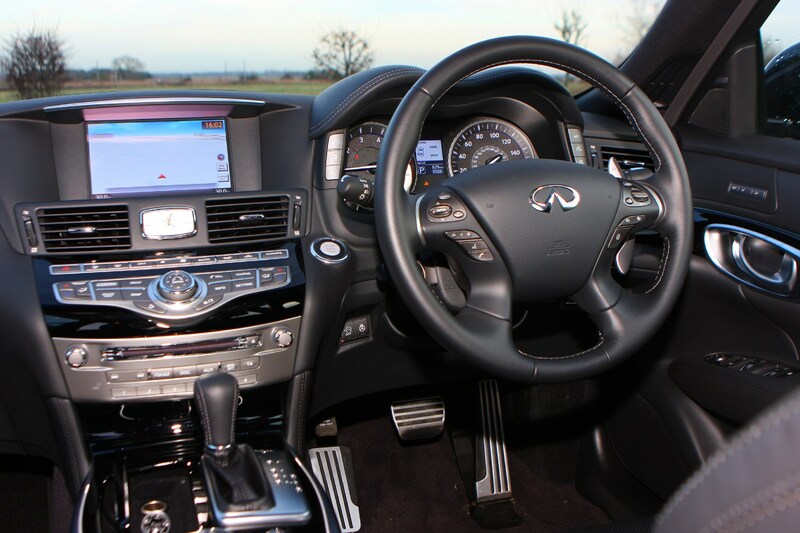 The Infiniti’s driving manners are more akin to those of the Mercedes E-Class, placing a relaxing experience above any real sense of feel or sportiness. 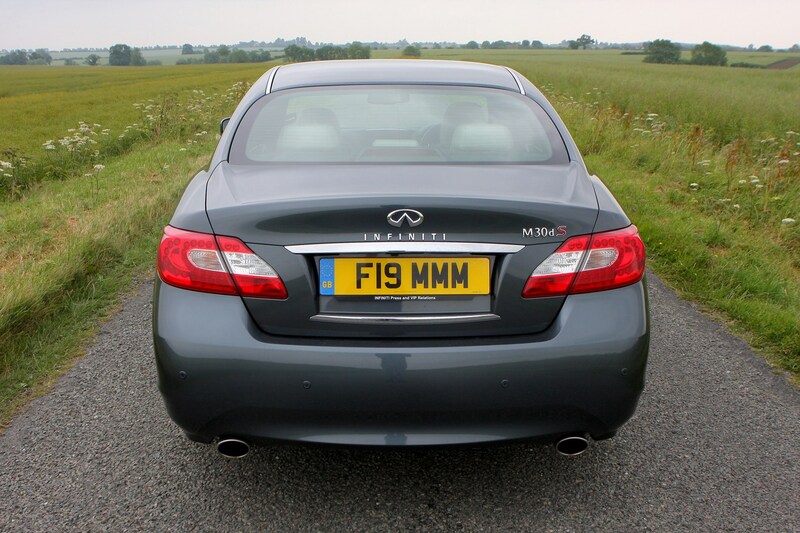 For some, this will be just the ticket, but for many buyers in this class the Infiniti will be a little on the dull side. 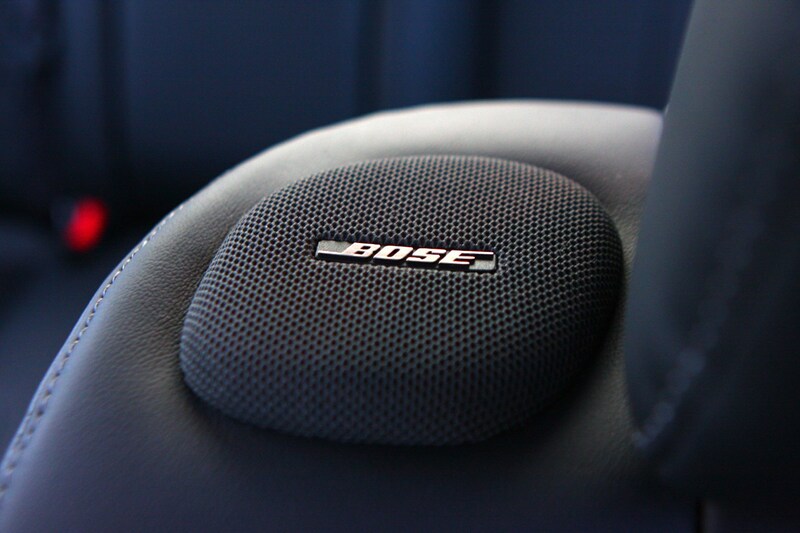 So can it can on the German premium brands and come out on top? 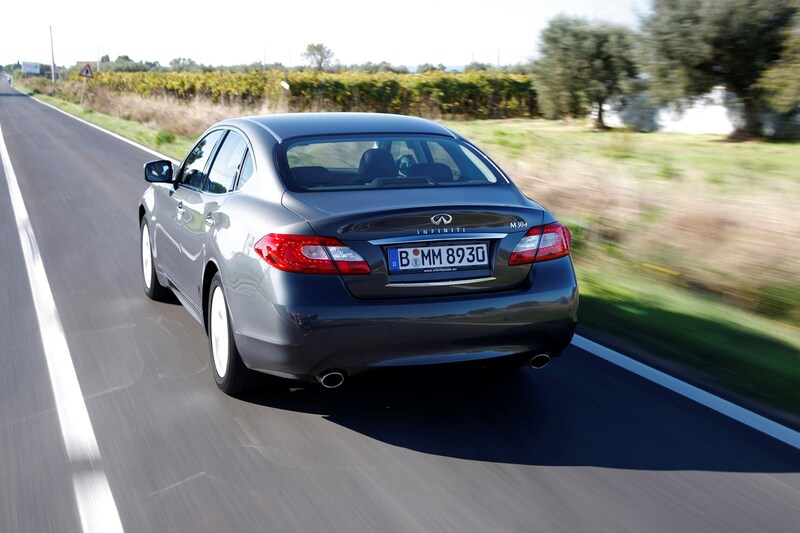 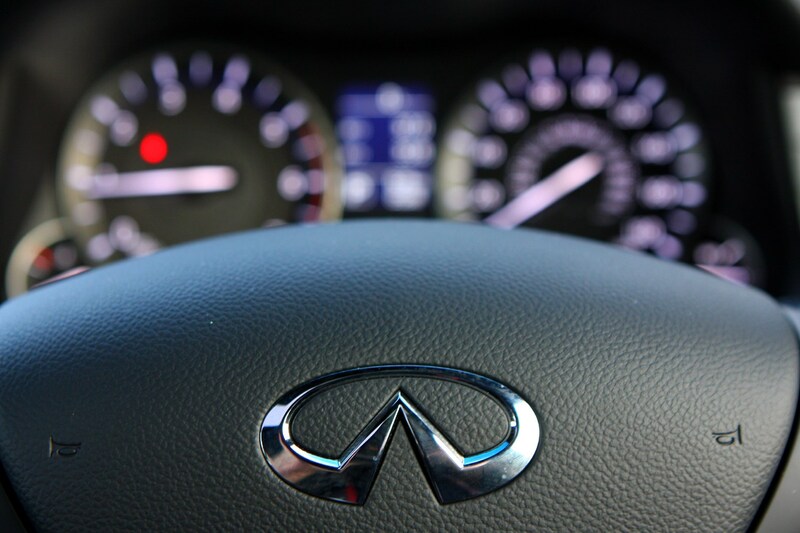 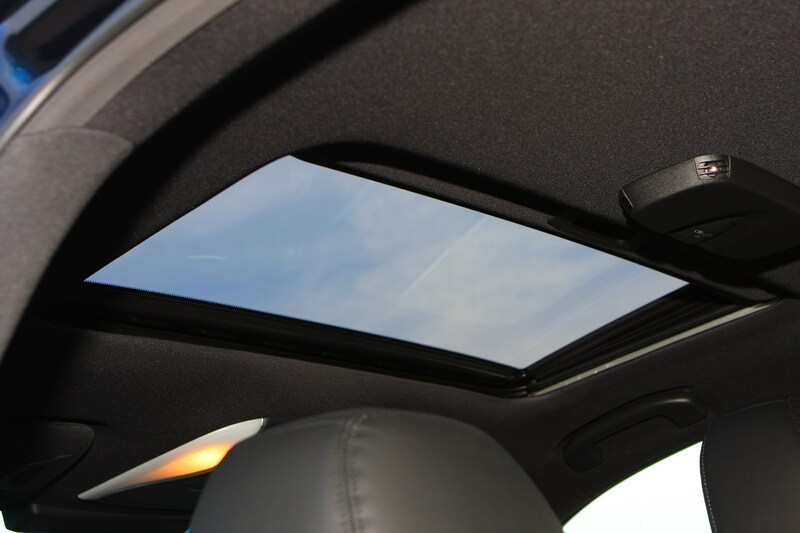 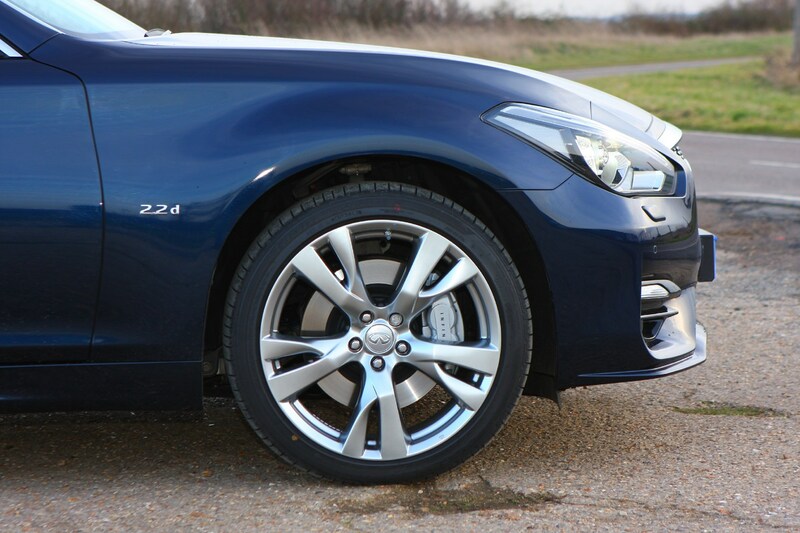 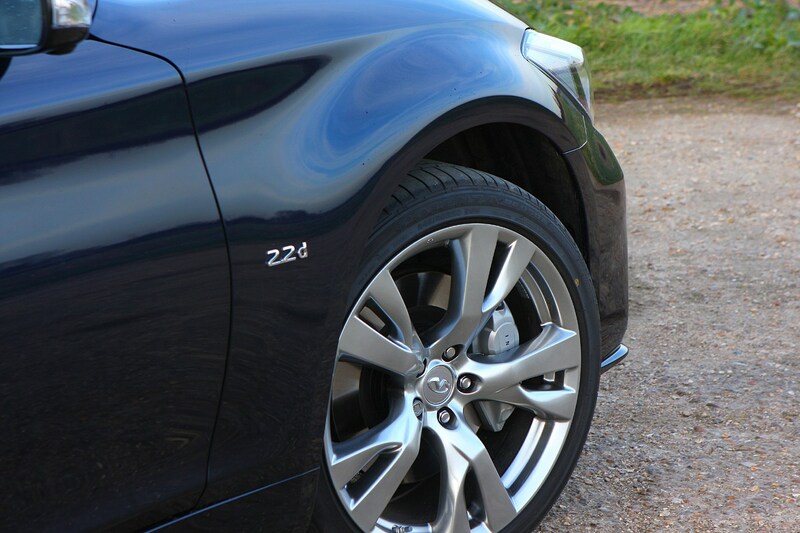 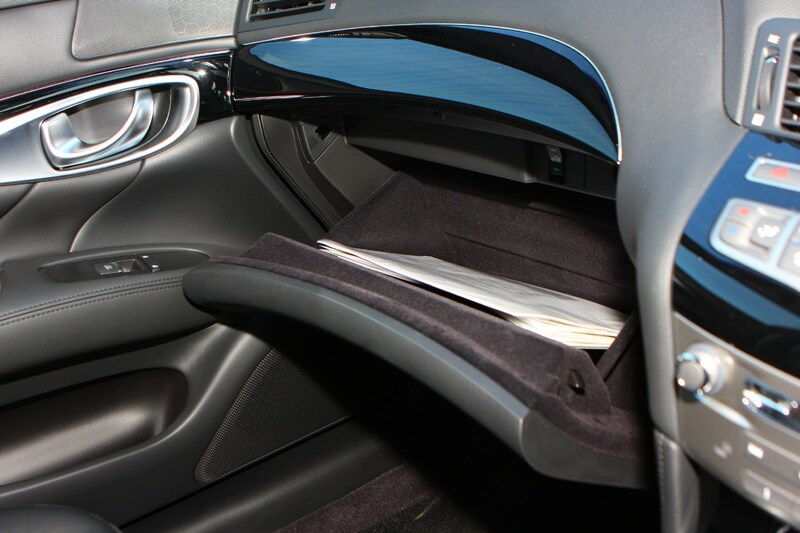 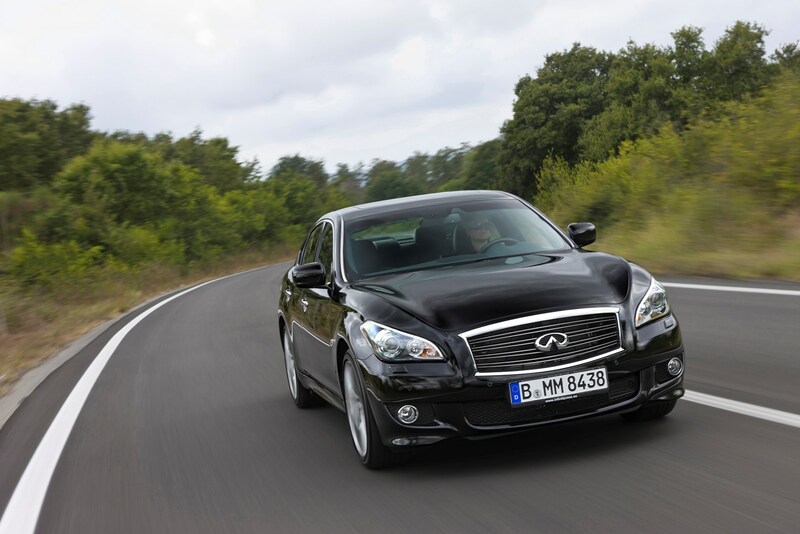 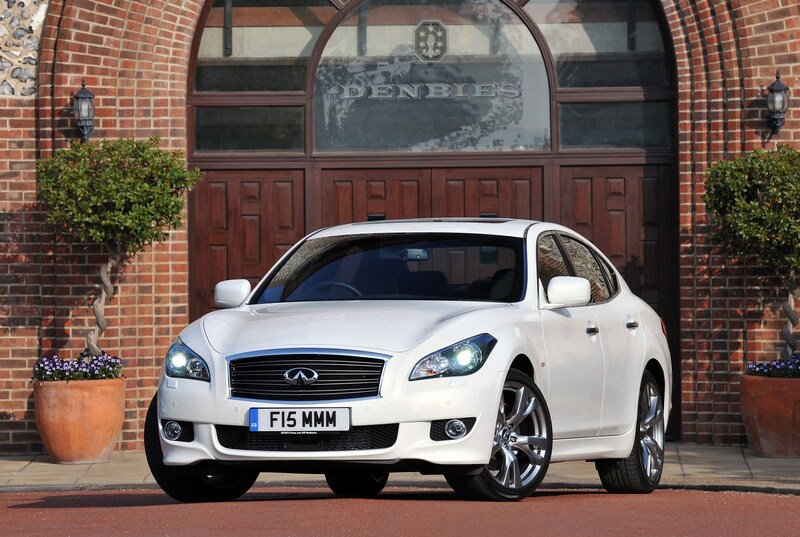 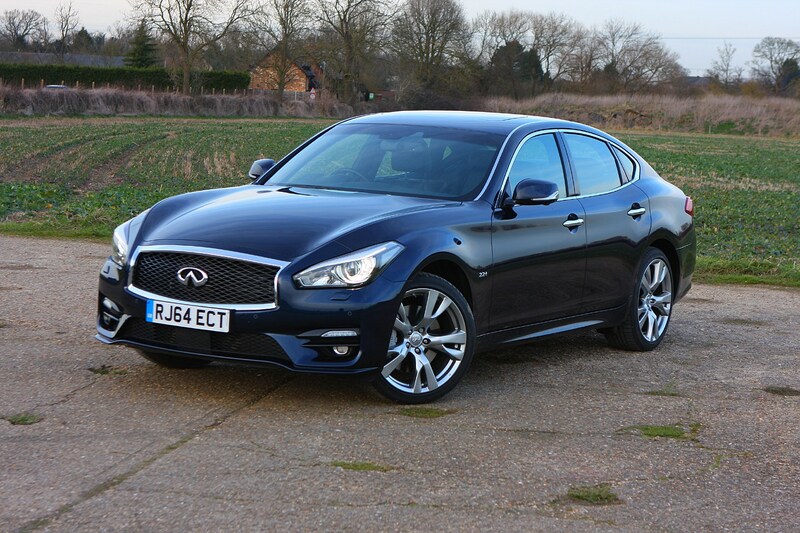 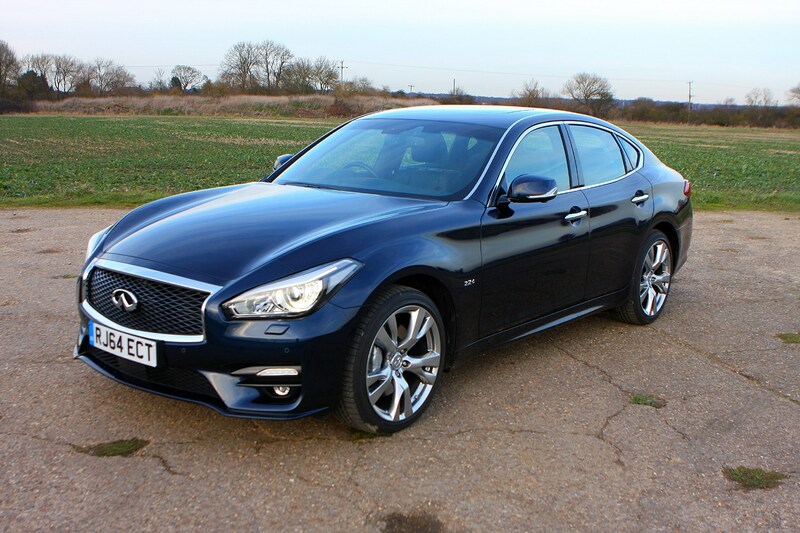 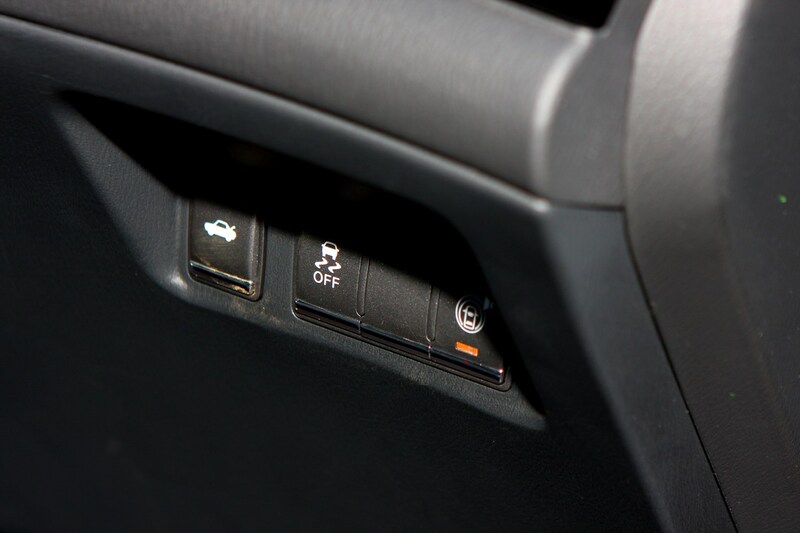 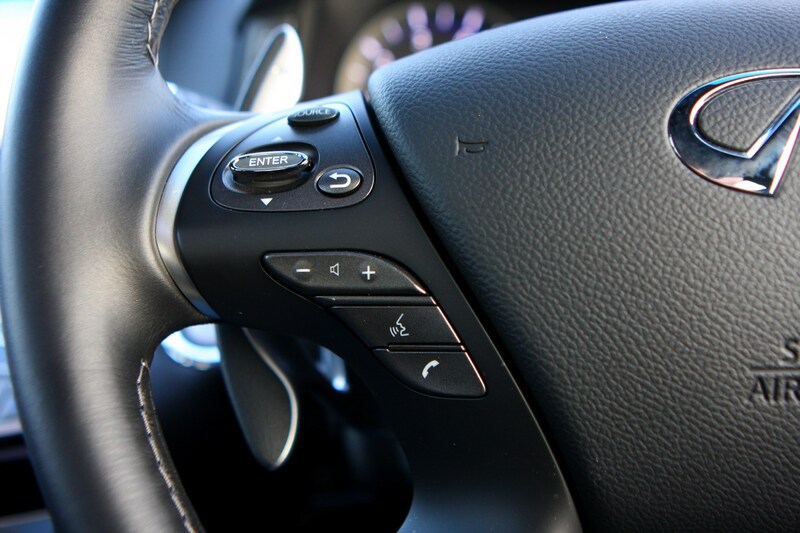 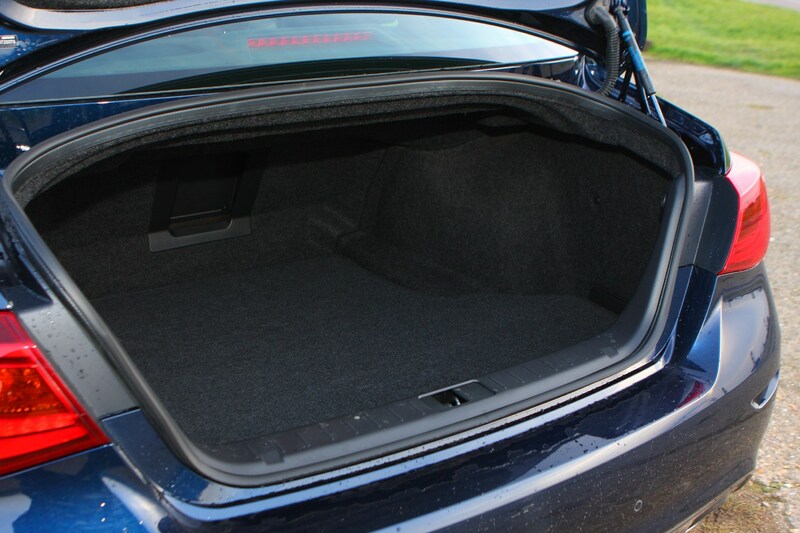 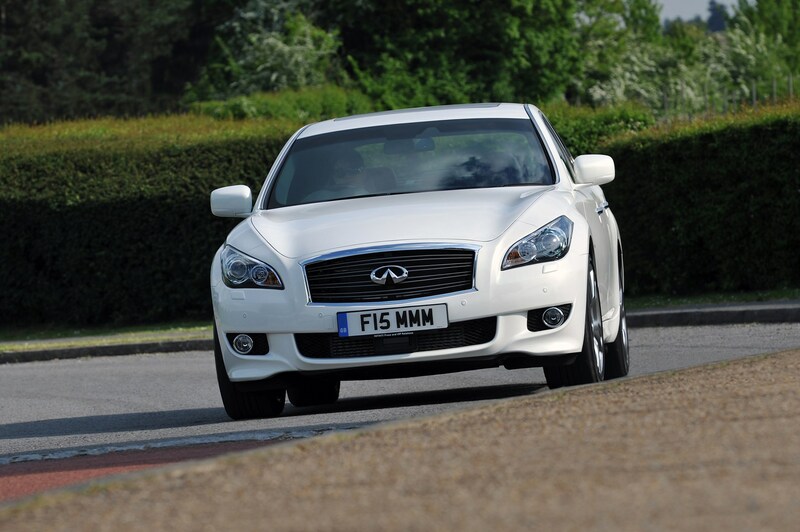 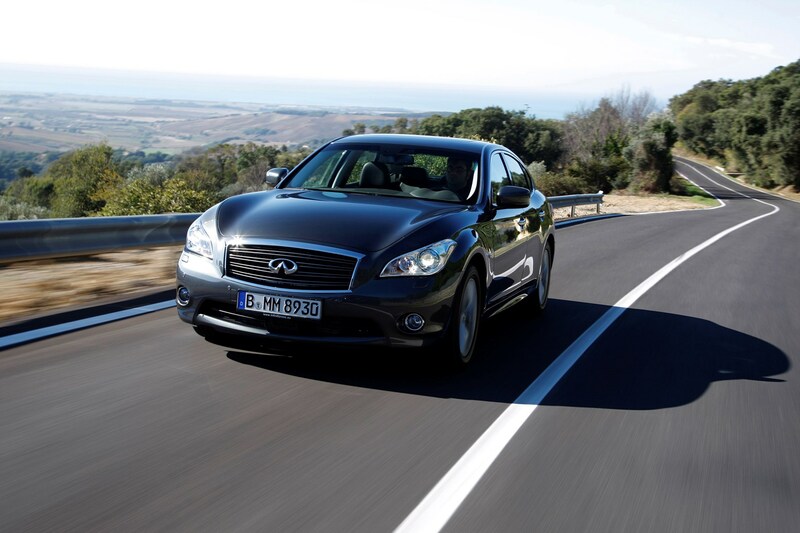 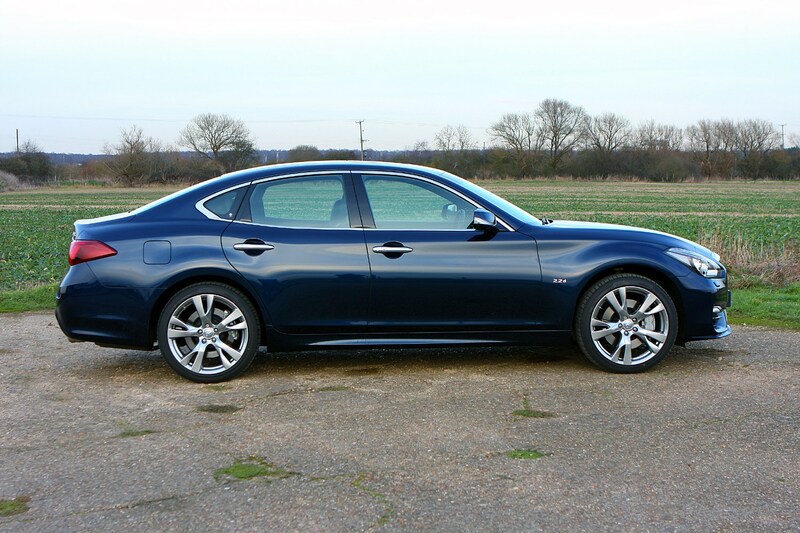 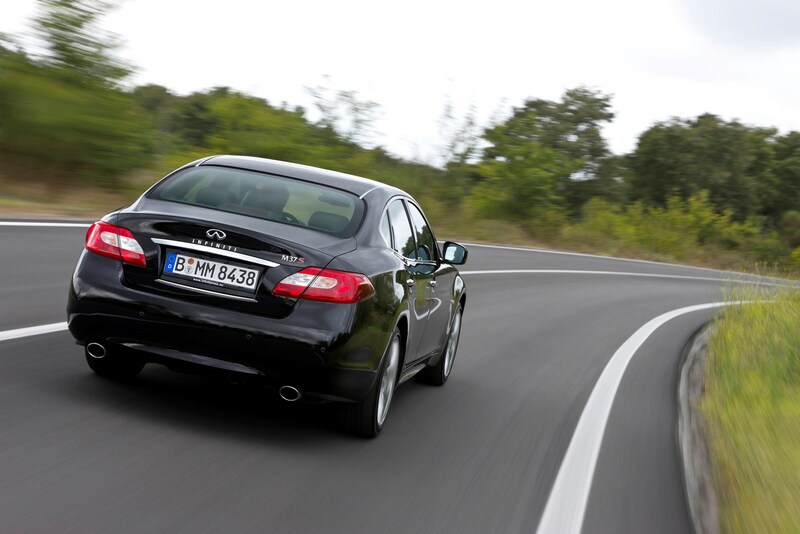 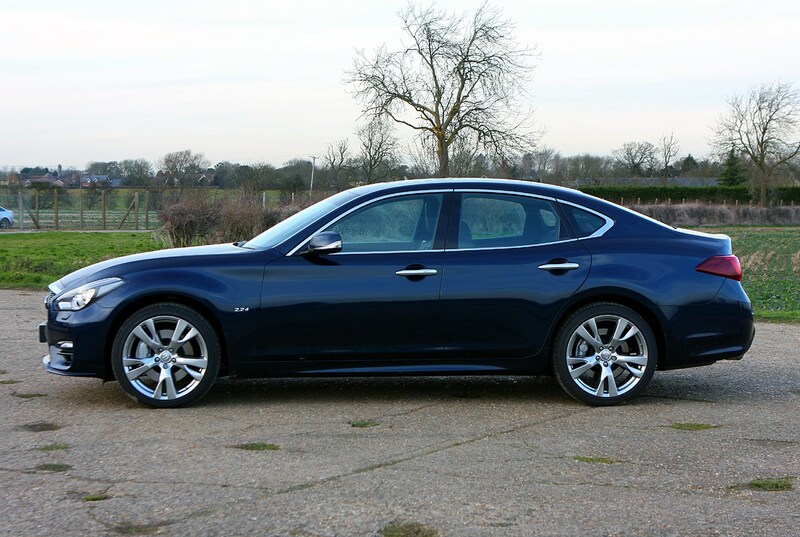 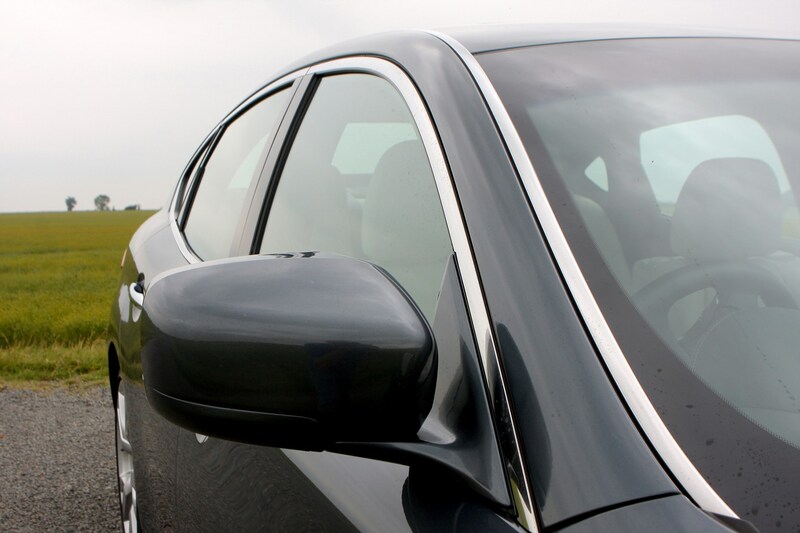 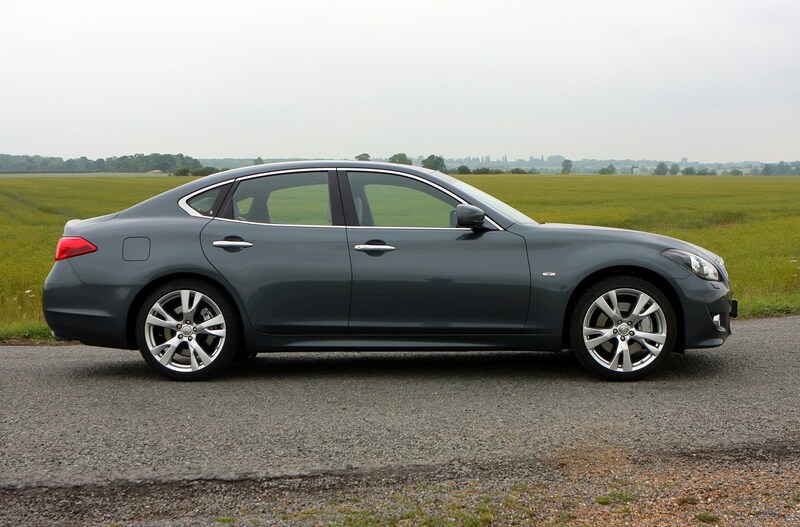 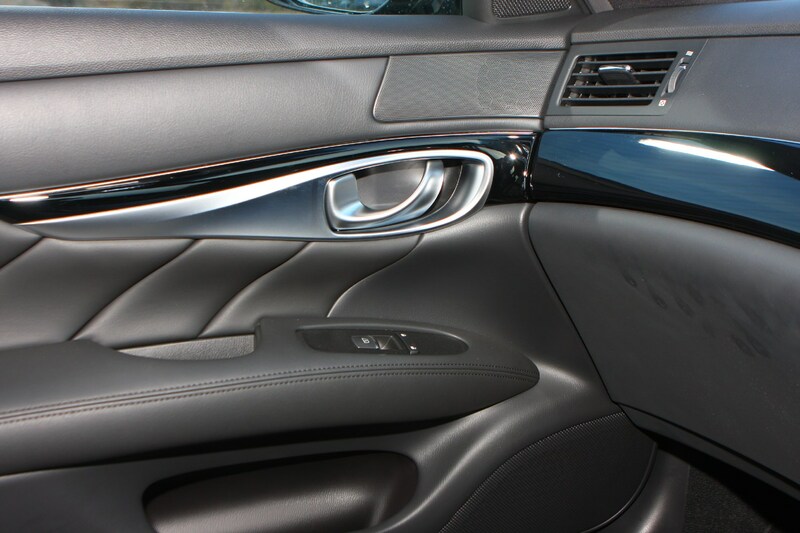 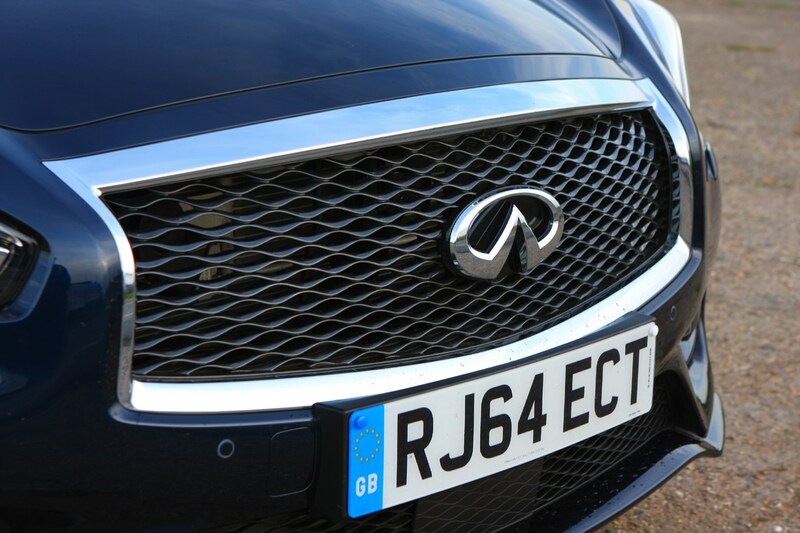 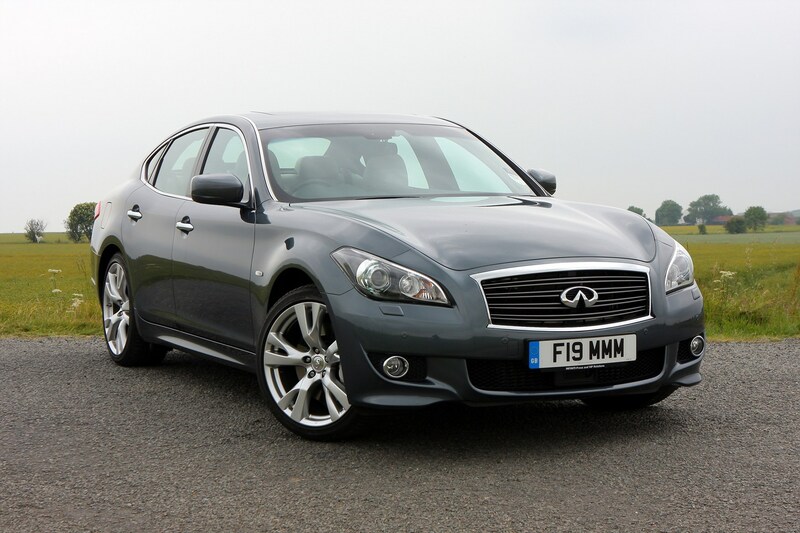 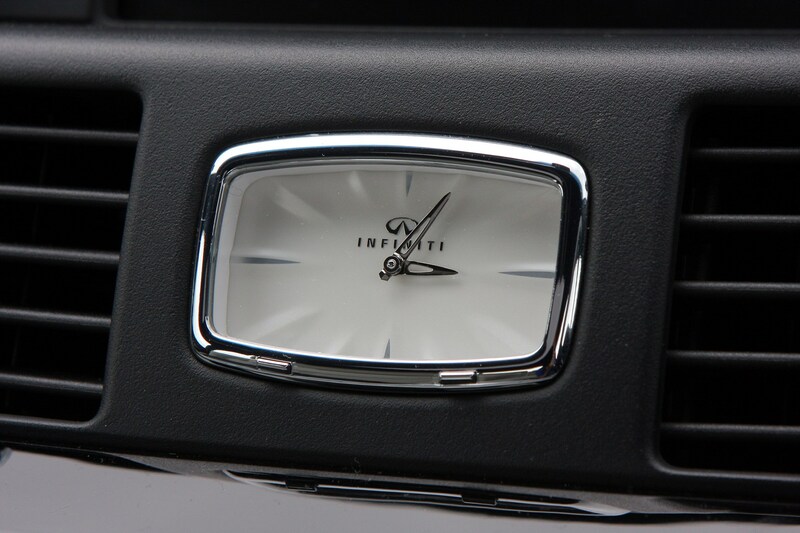 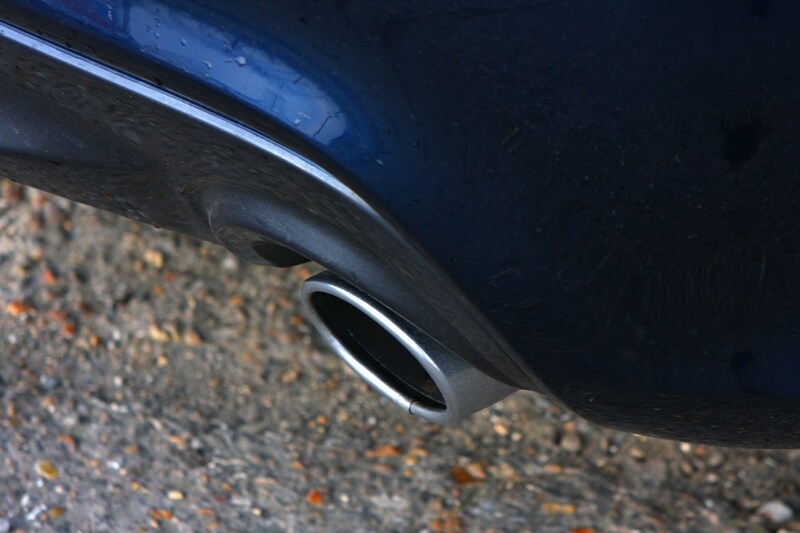 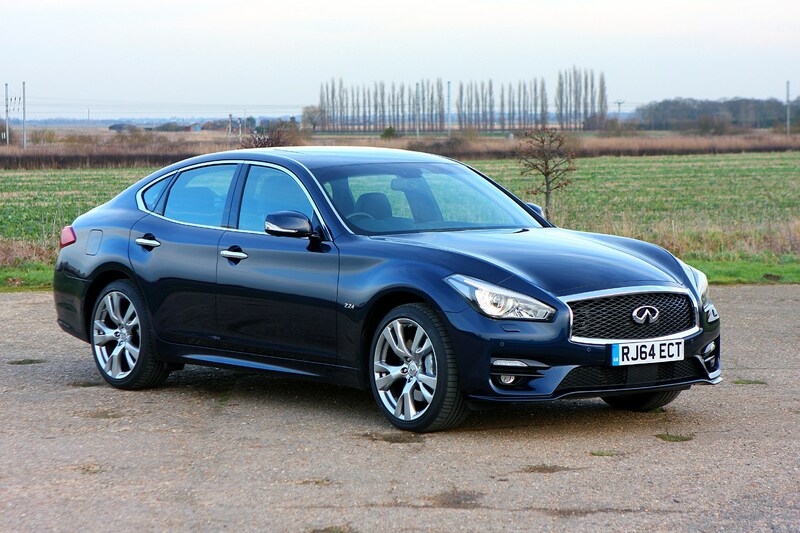 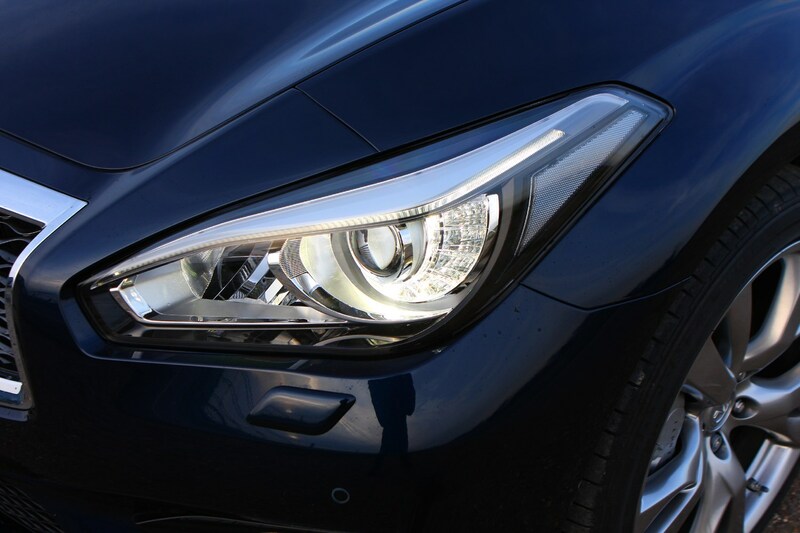 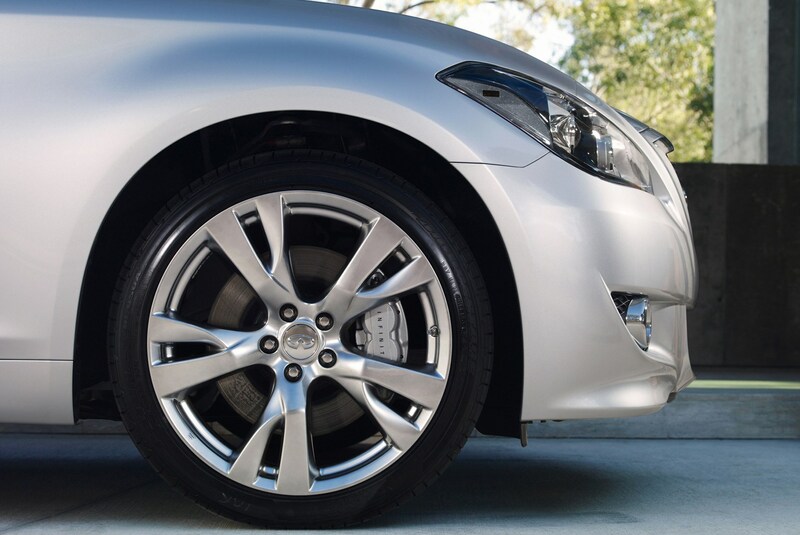 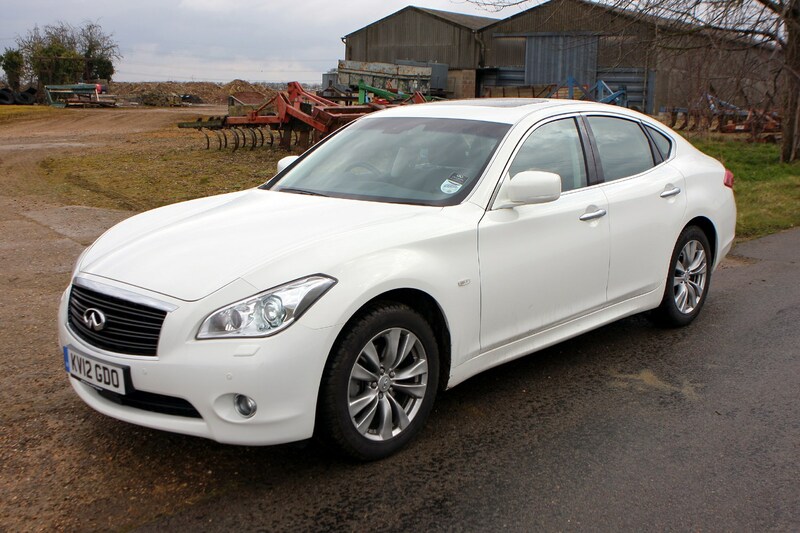 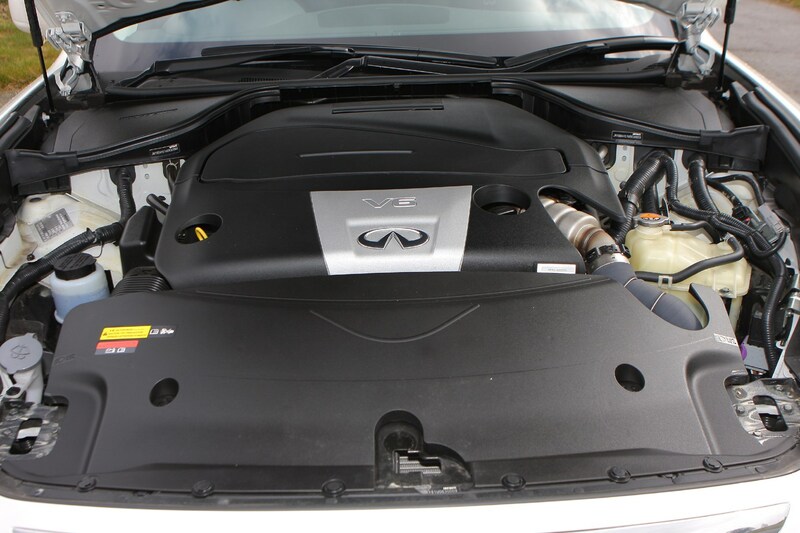 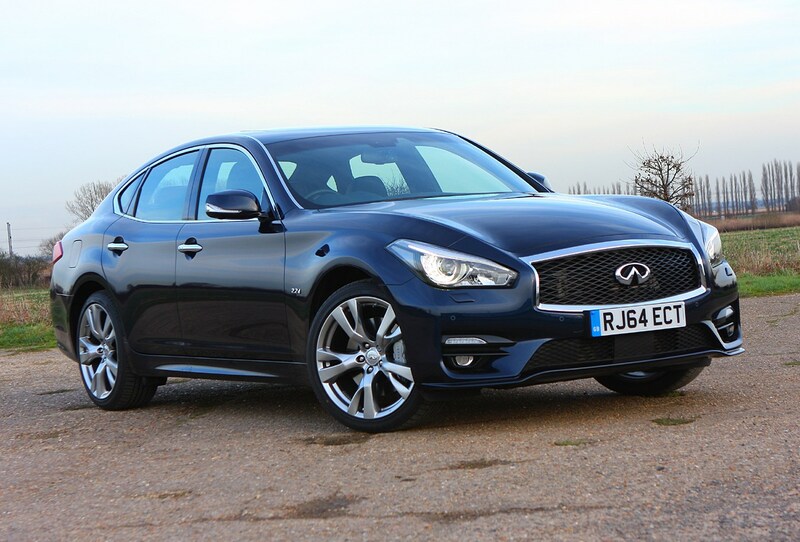 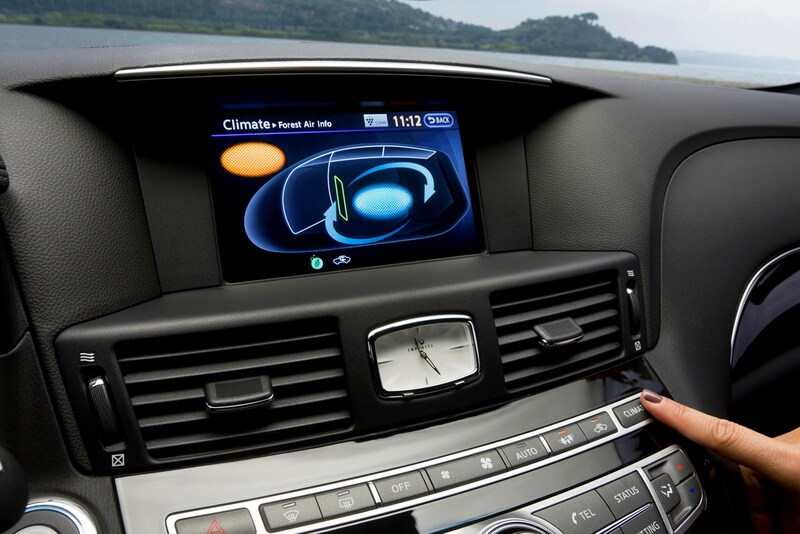 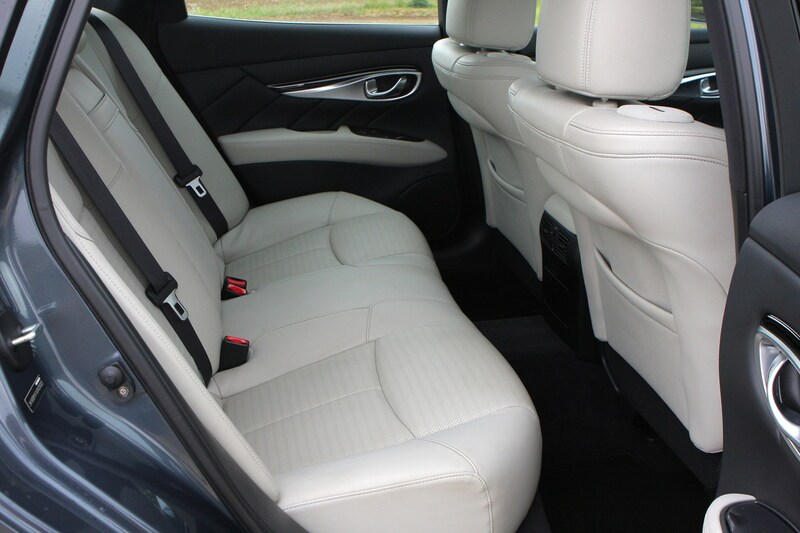 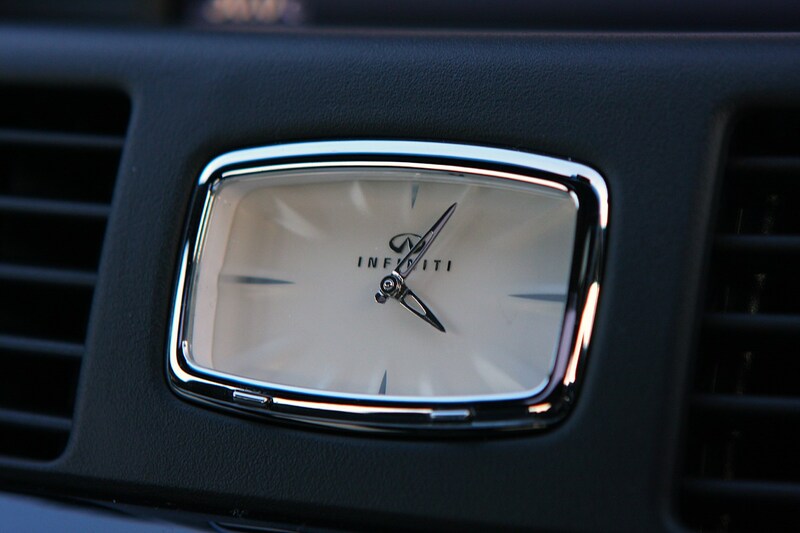 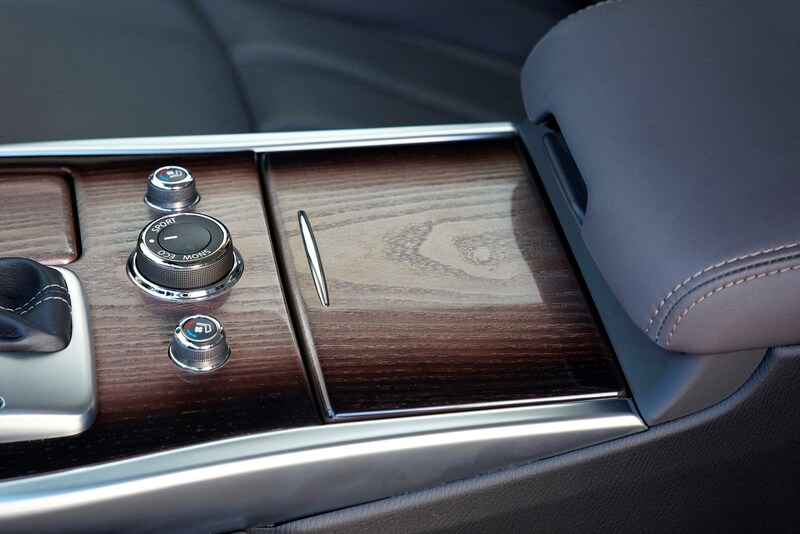 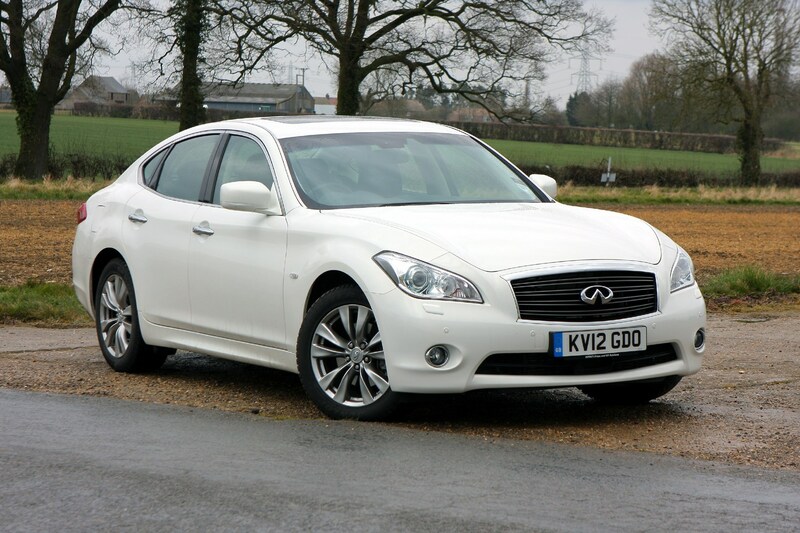 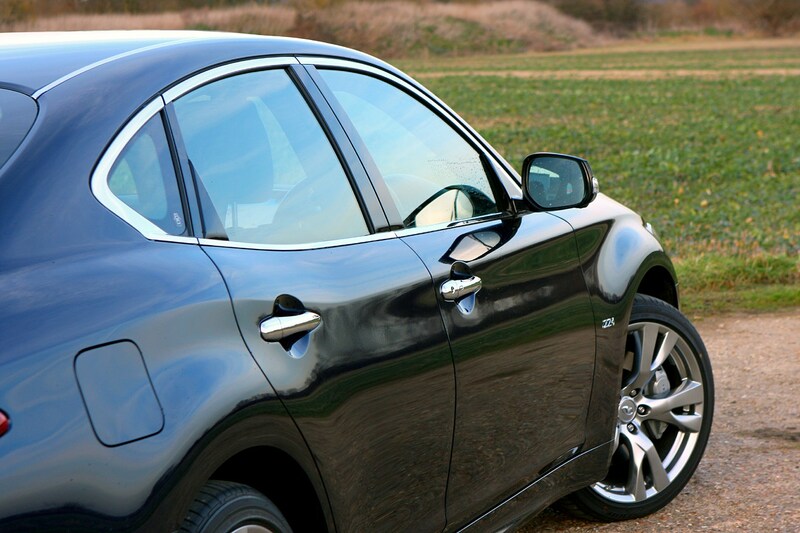 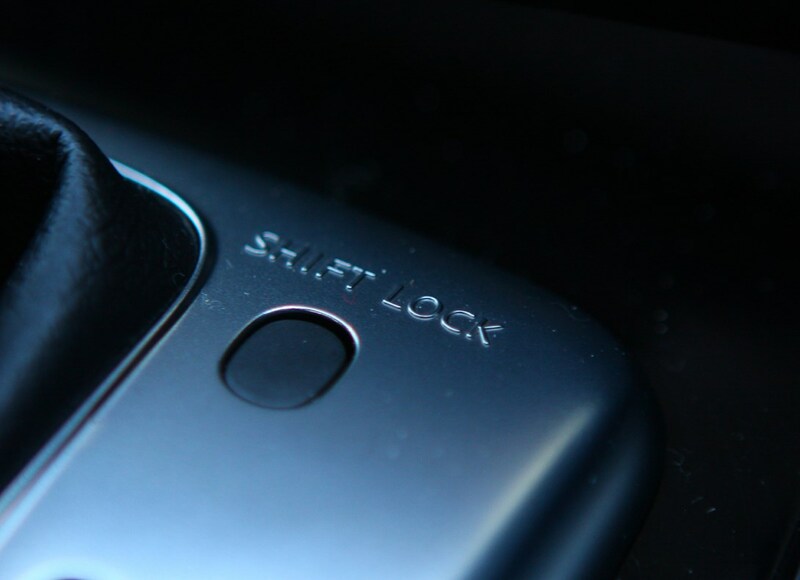 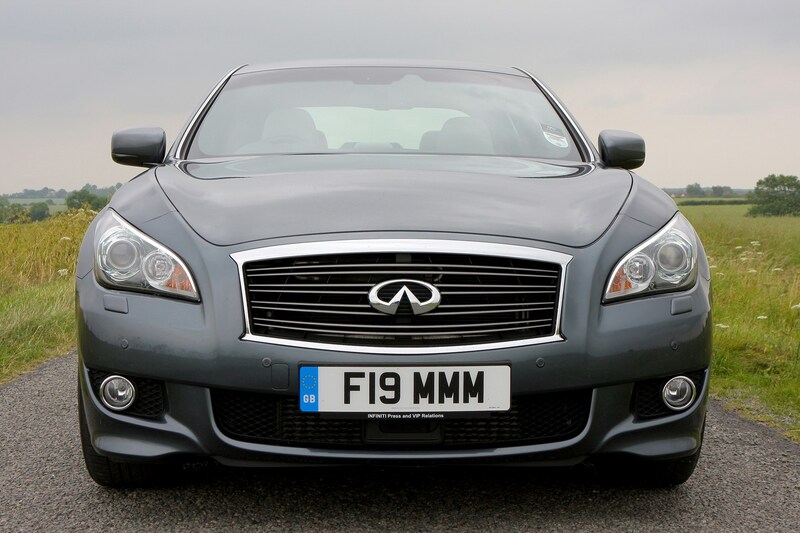 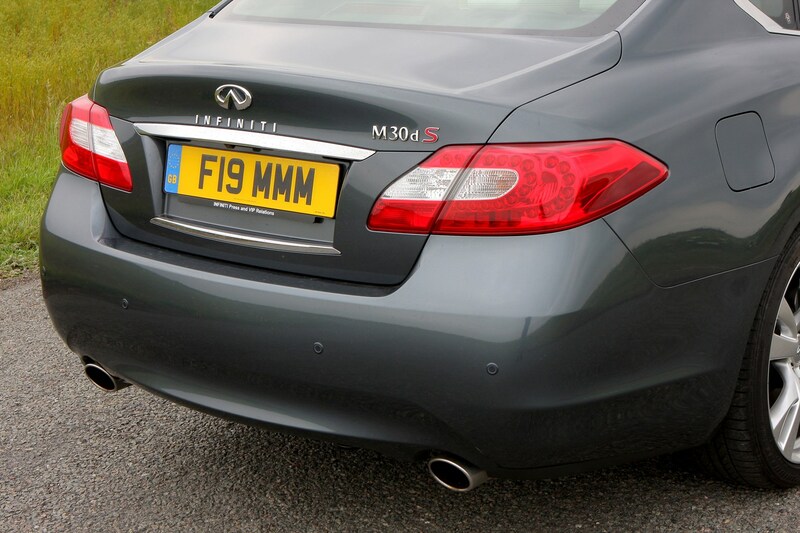 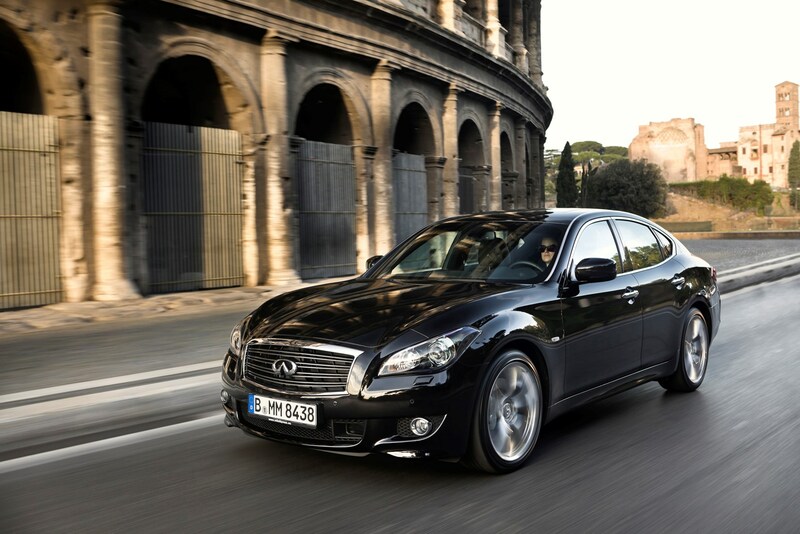 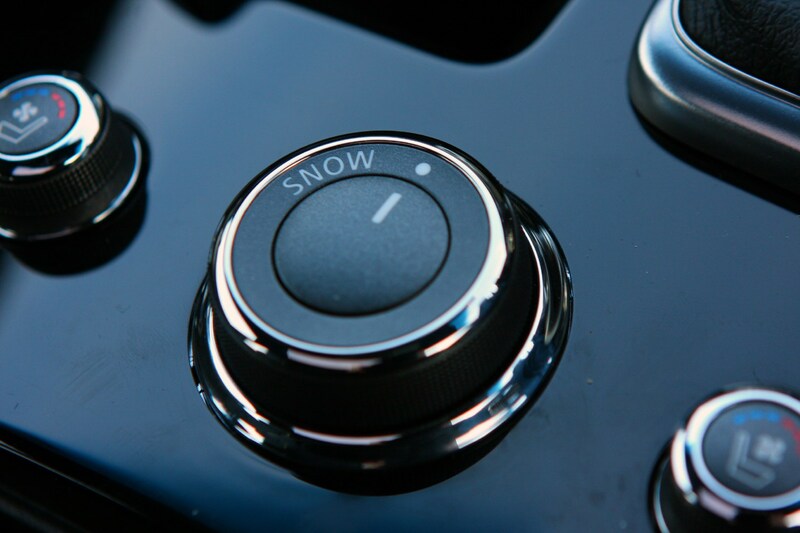 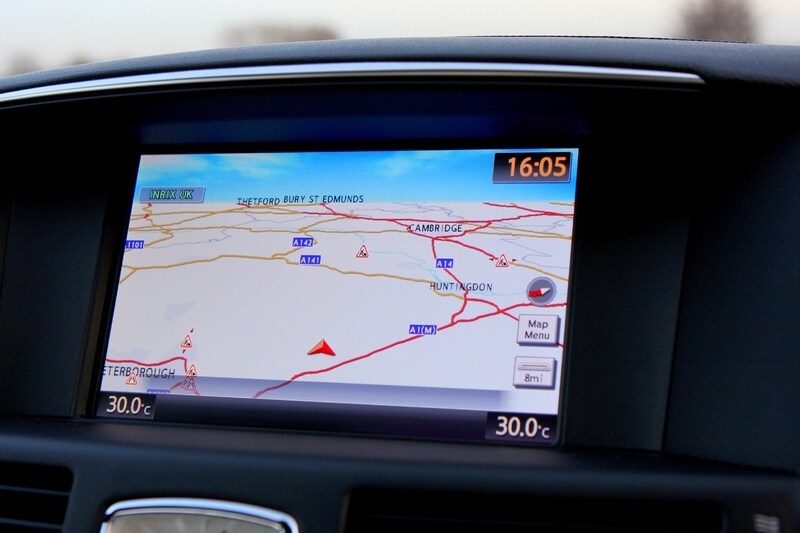 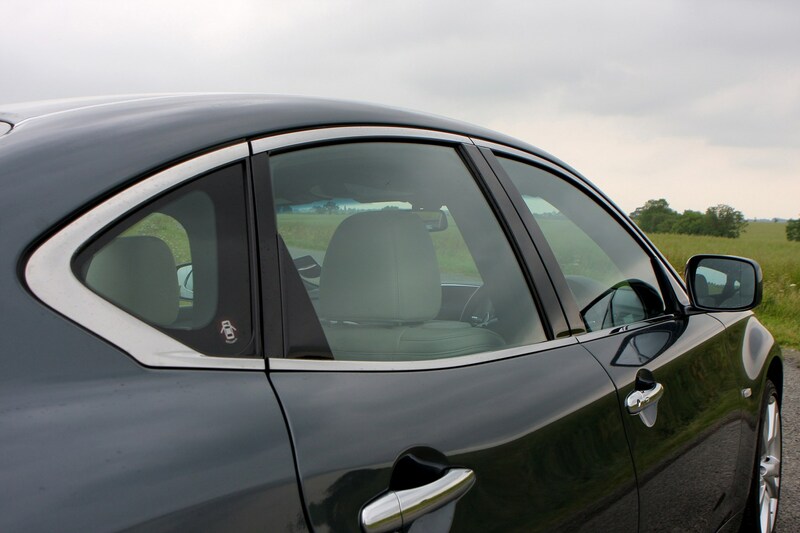 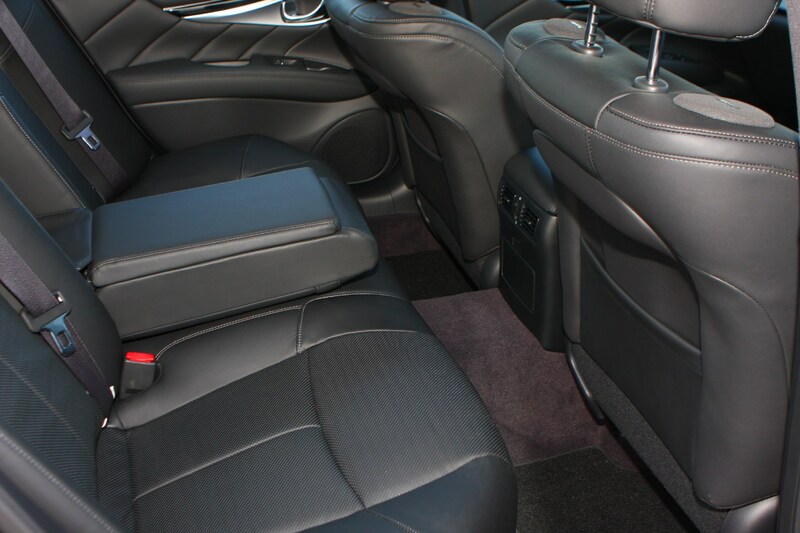 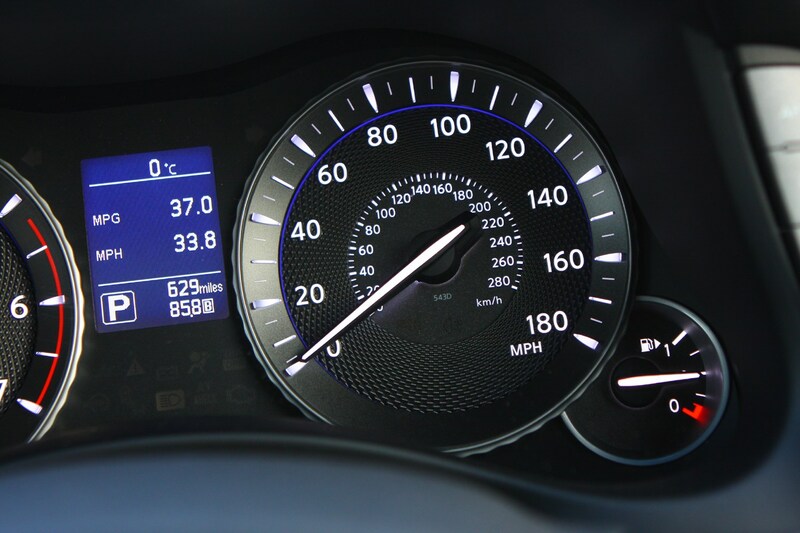 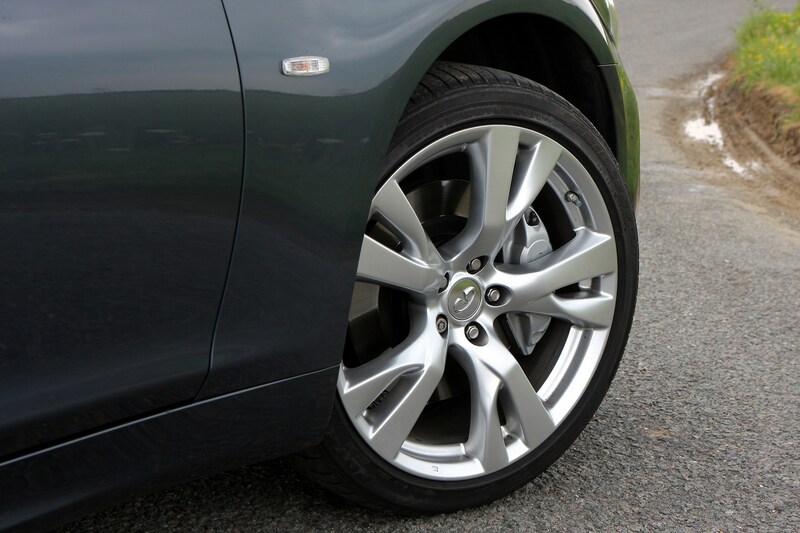 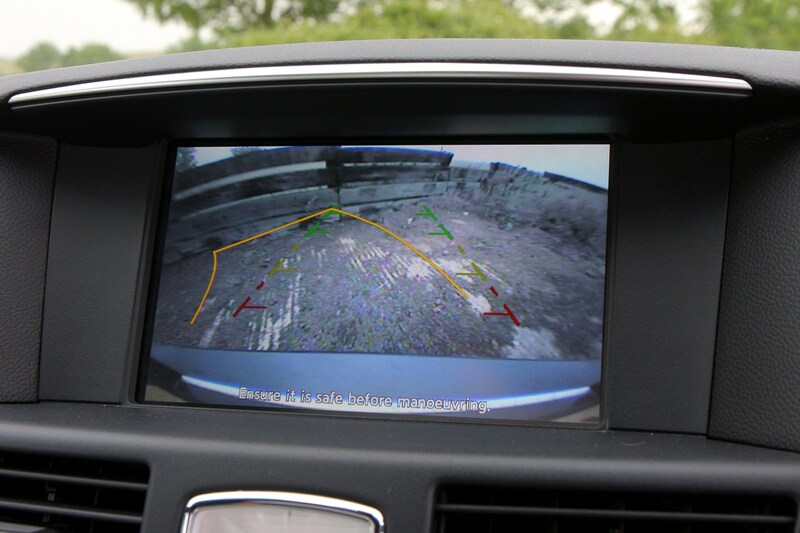 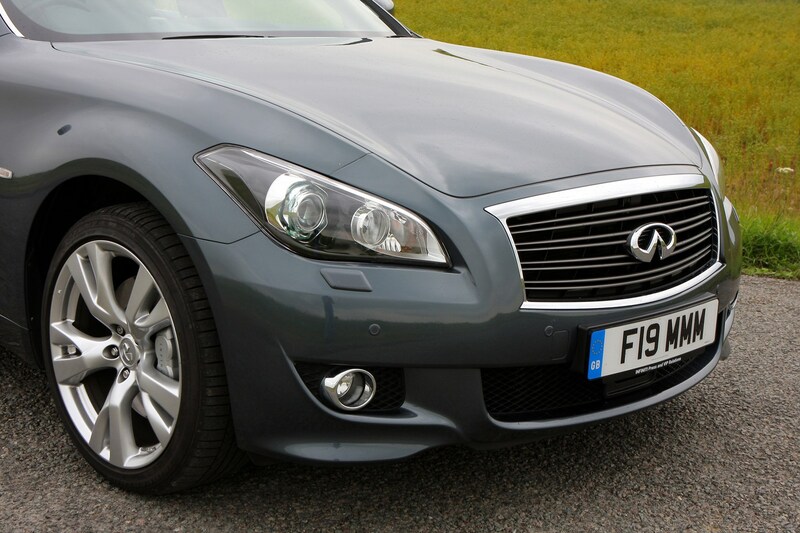 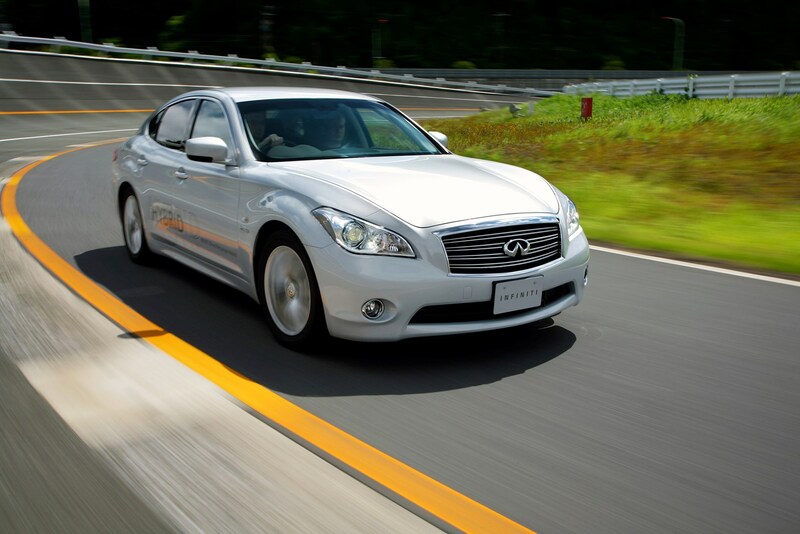 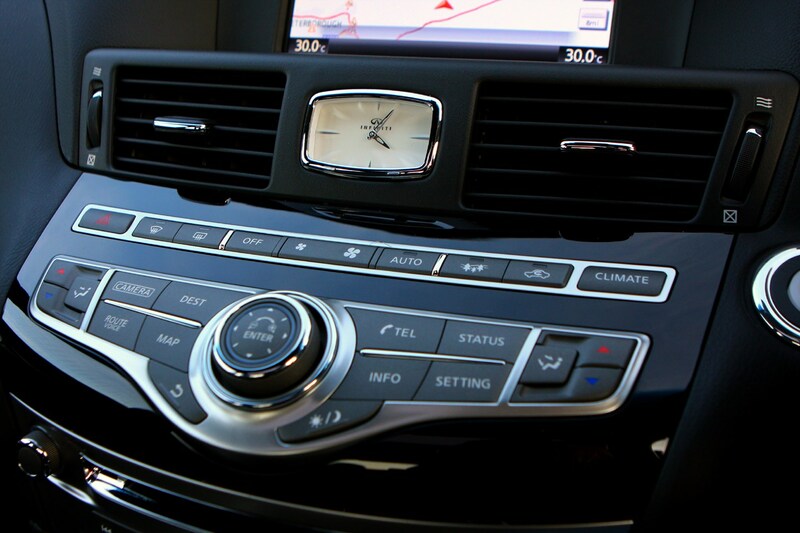 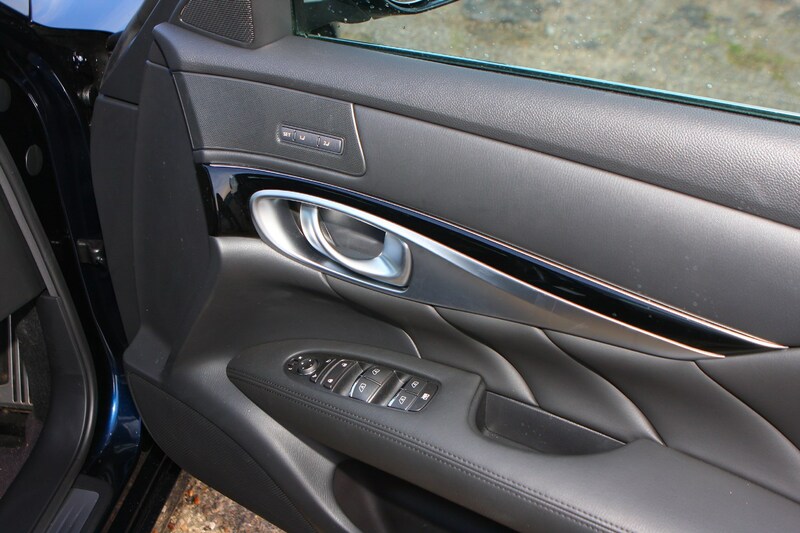 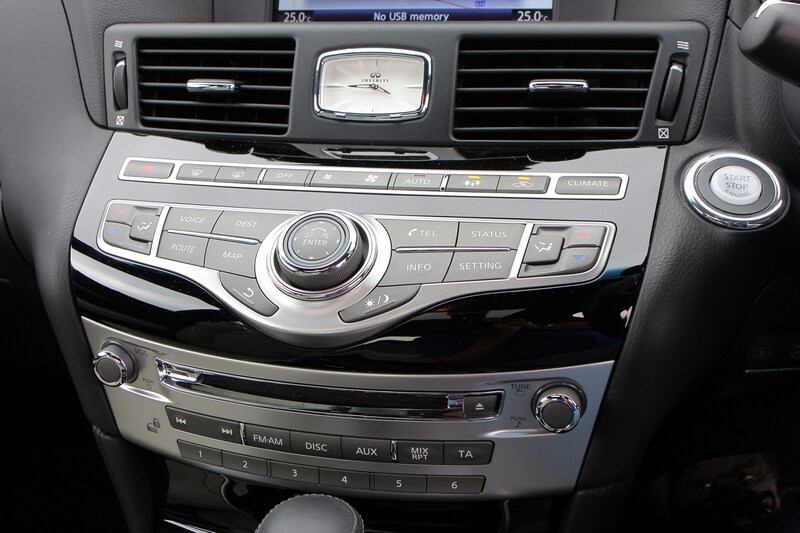 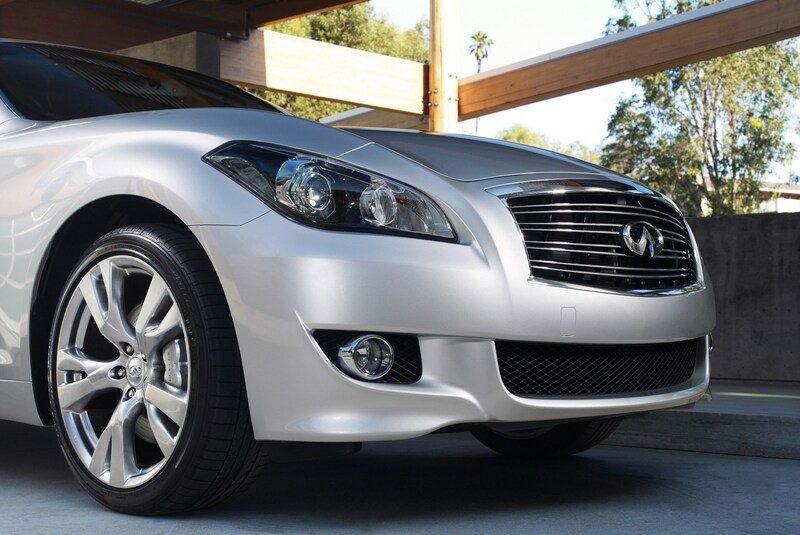 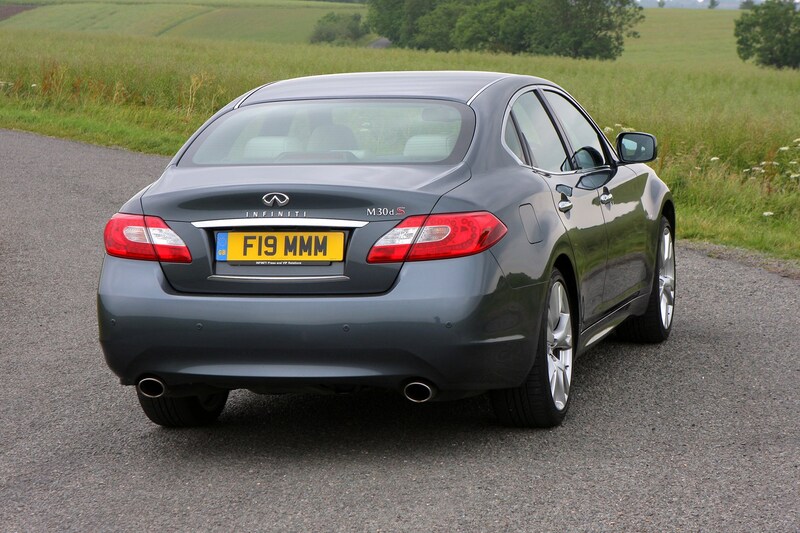 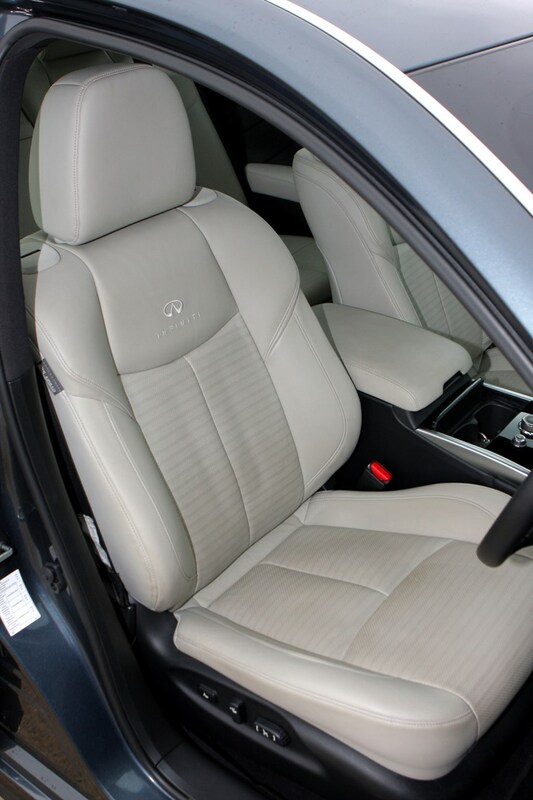 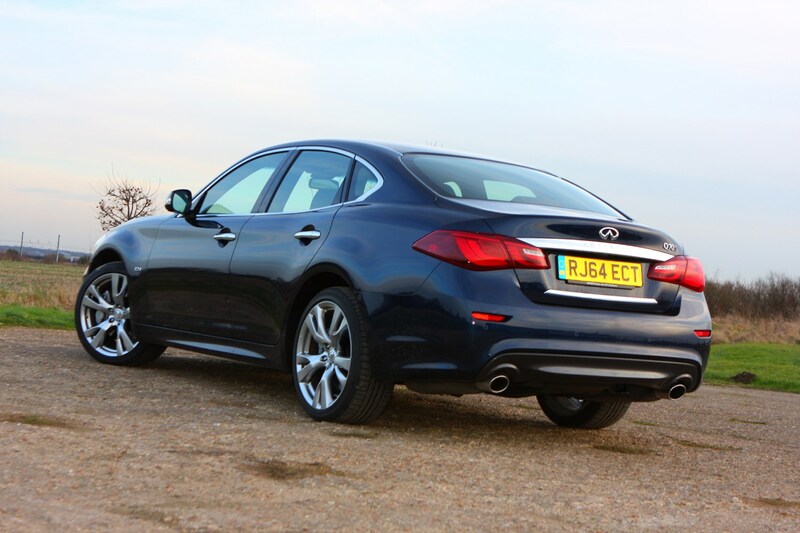 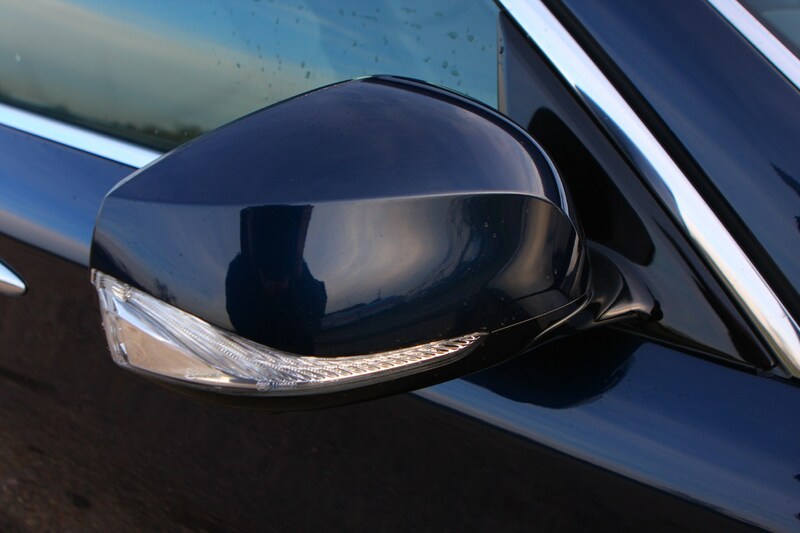 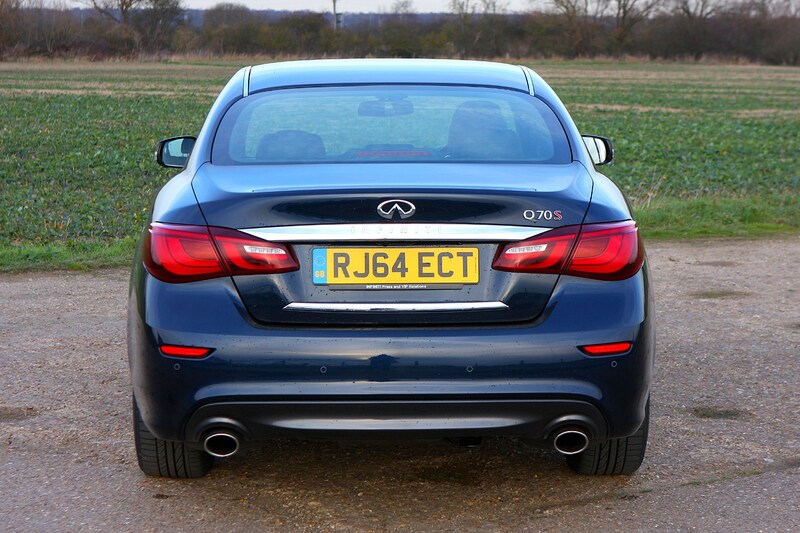 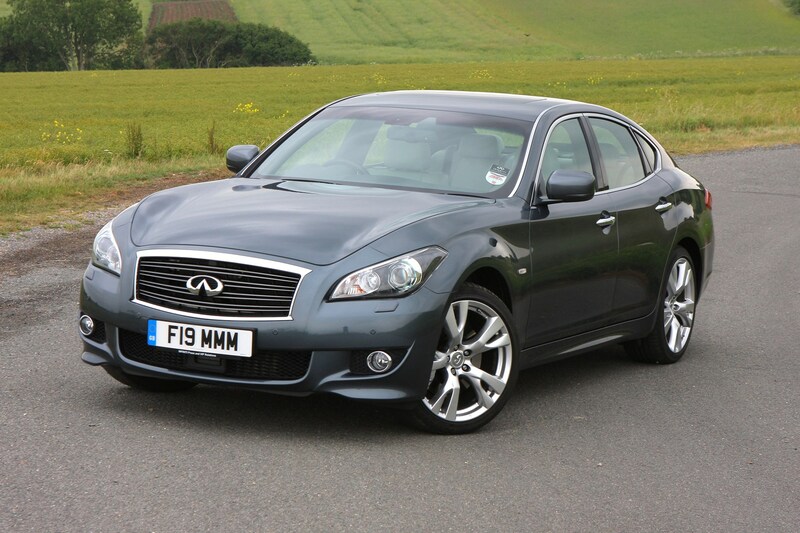 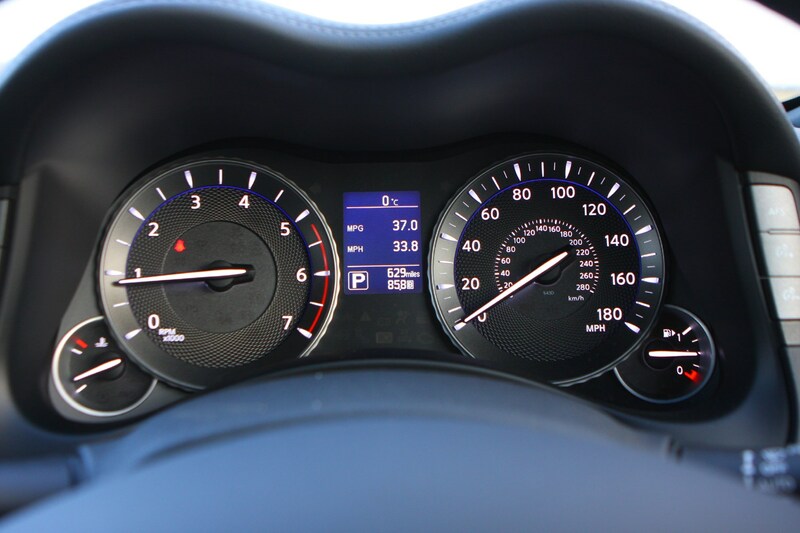 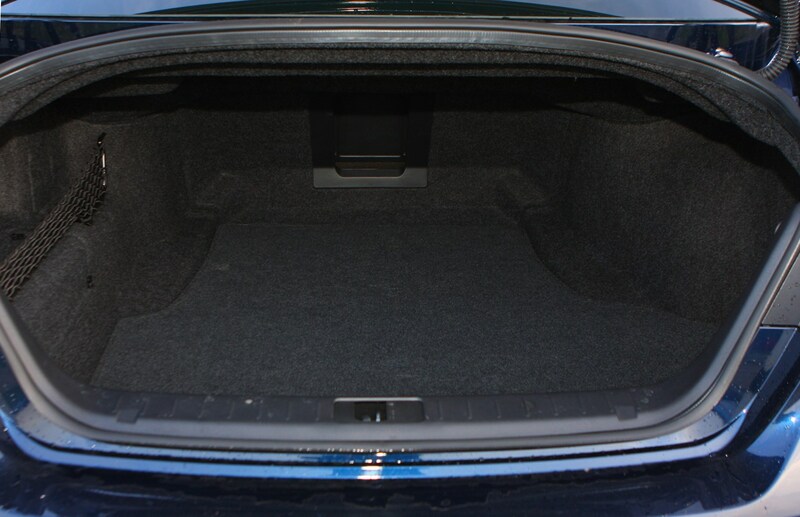 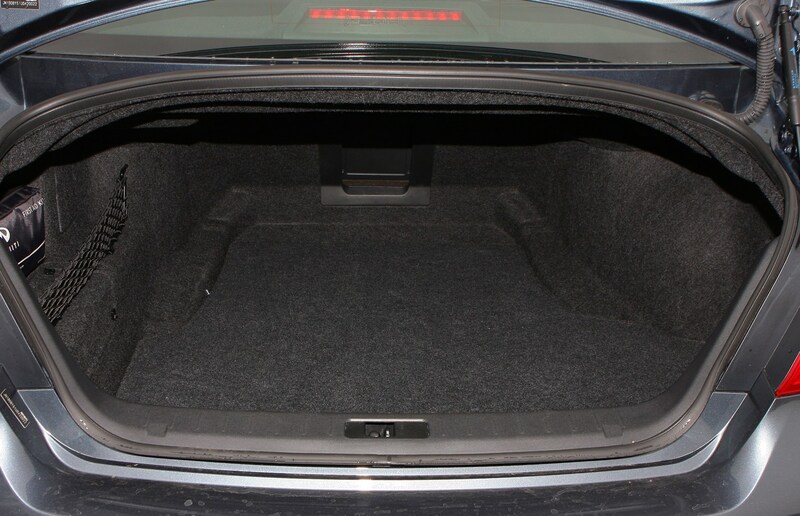 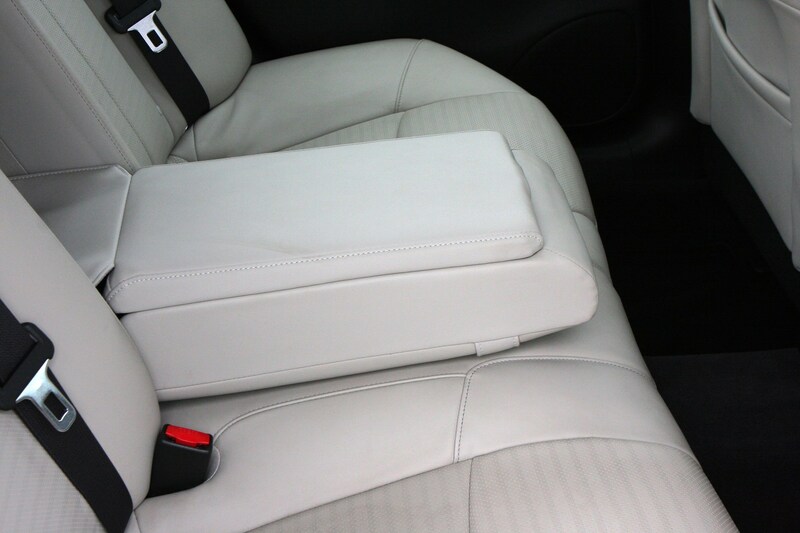 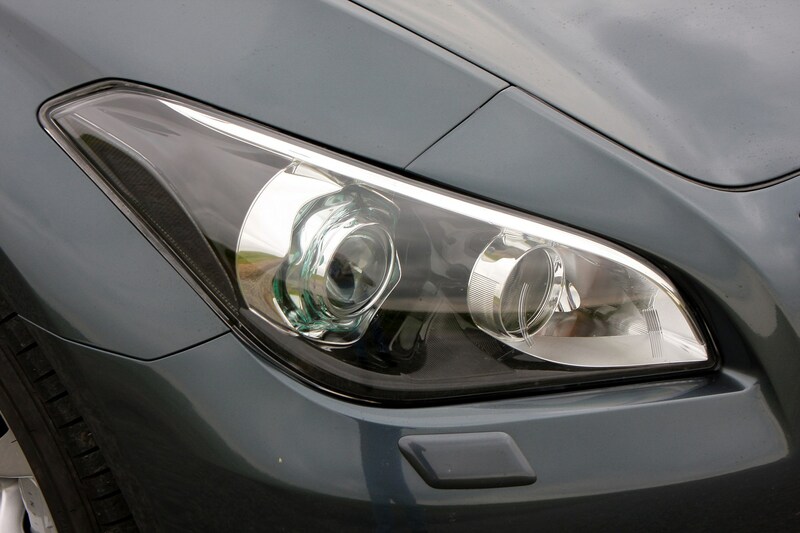 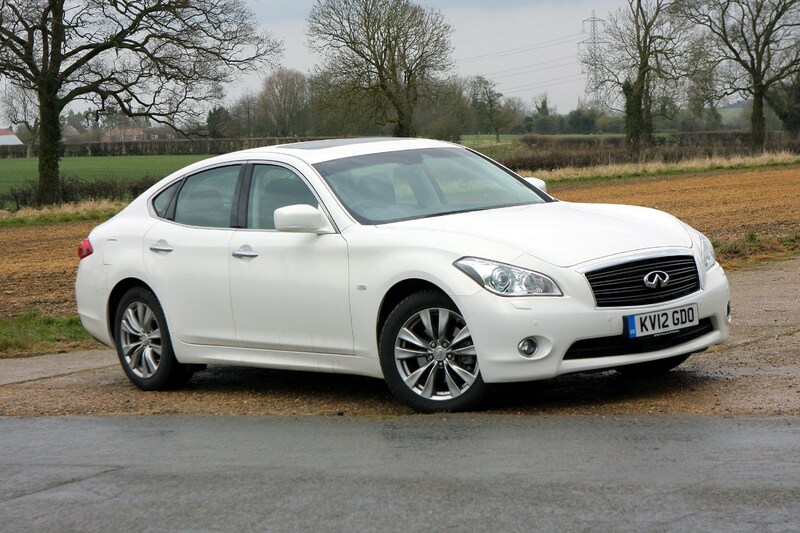 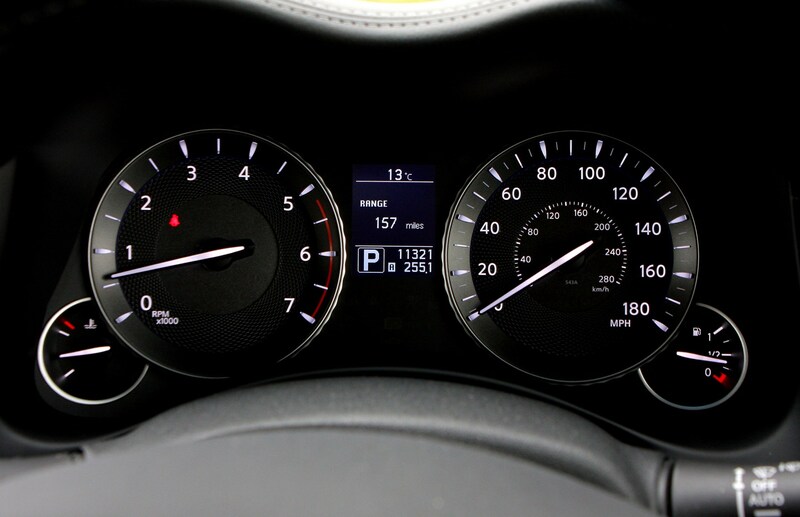 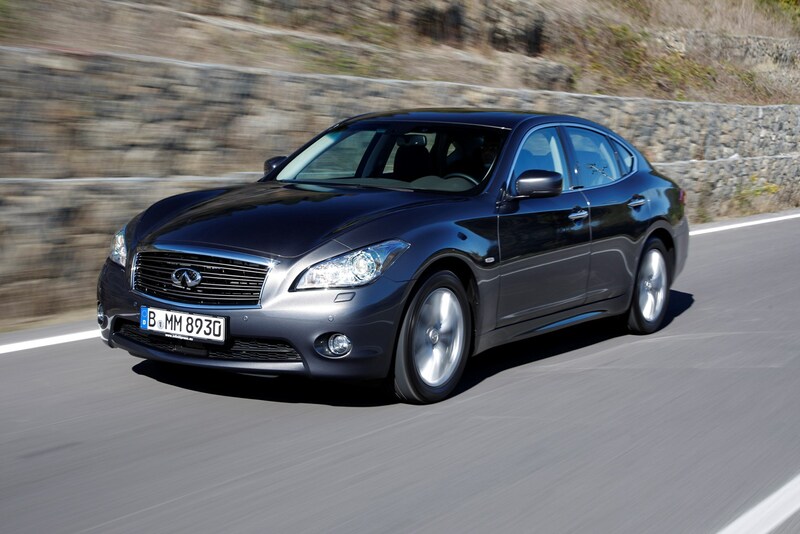 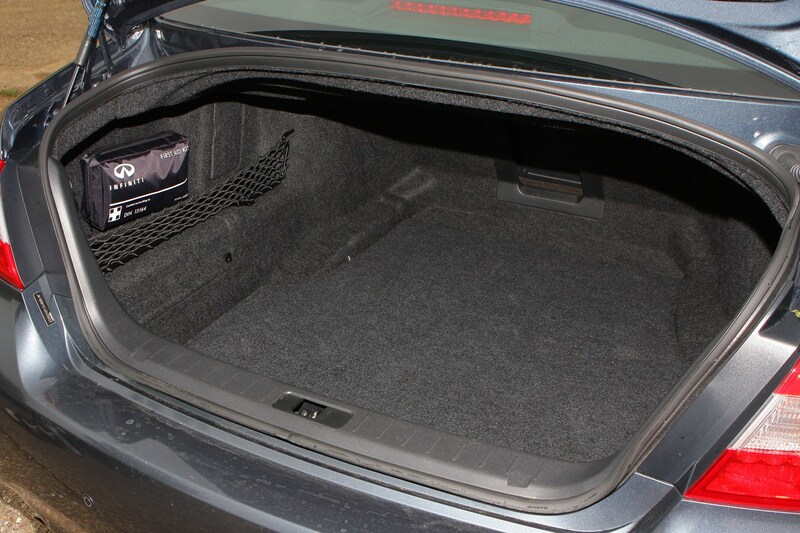 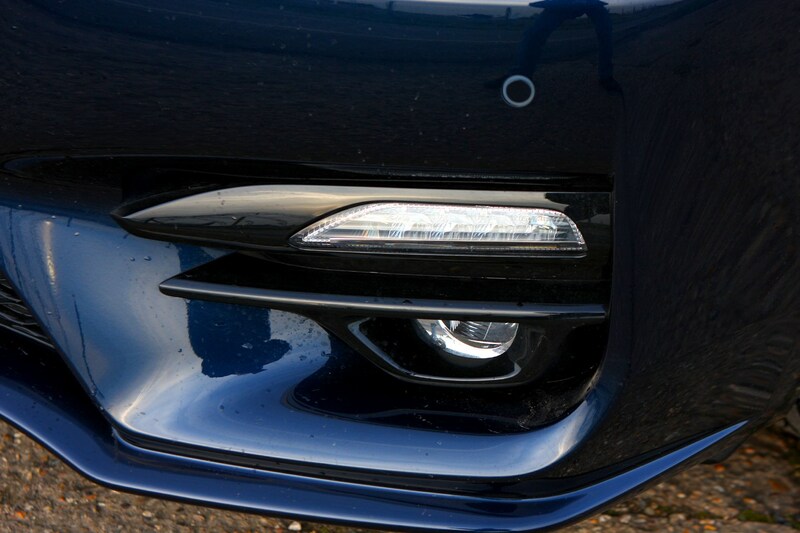 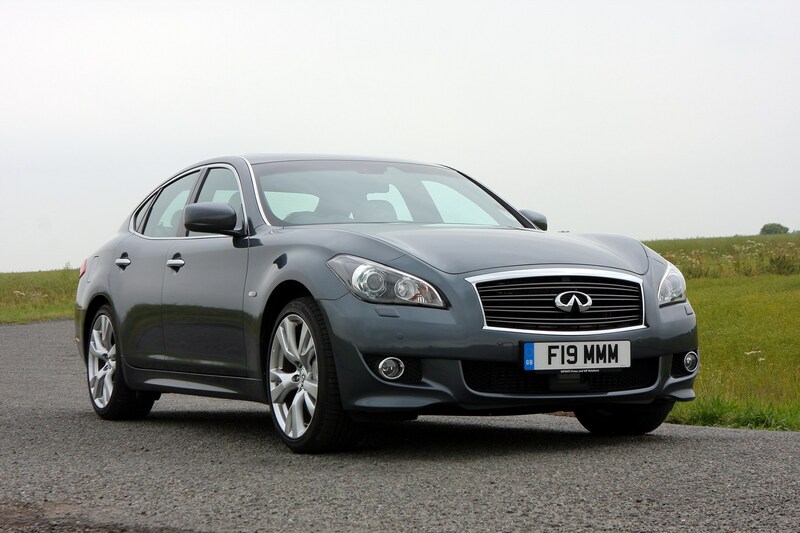 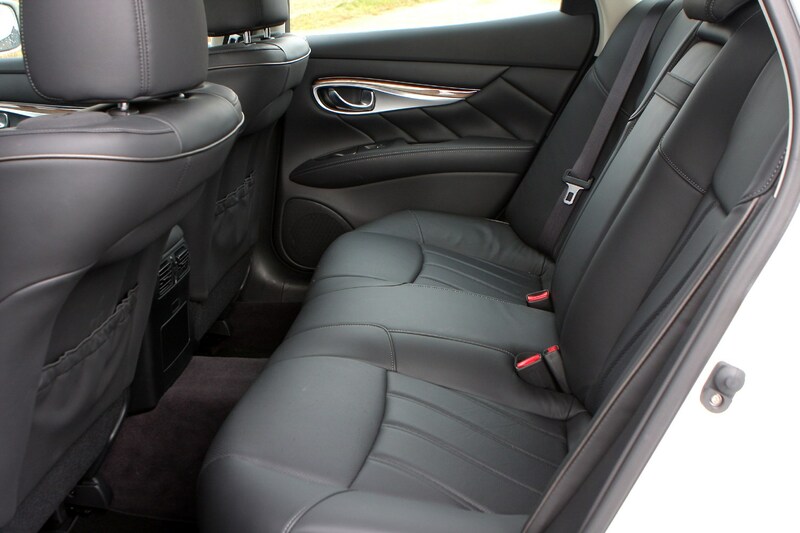 Read the full Infiniti M review to find out.